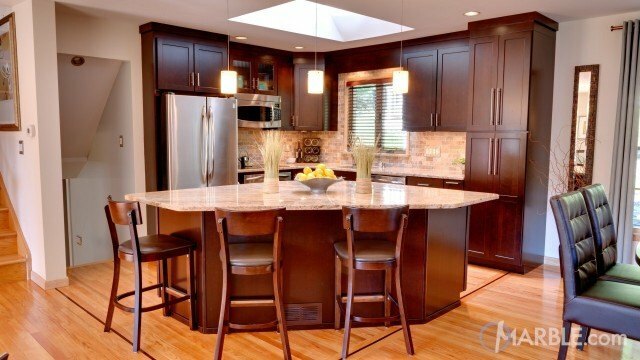 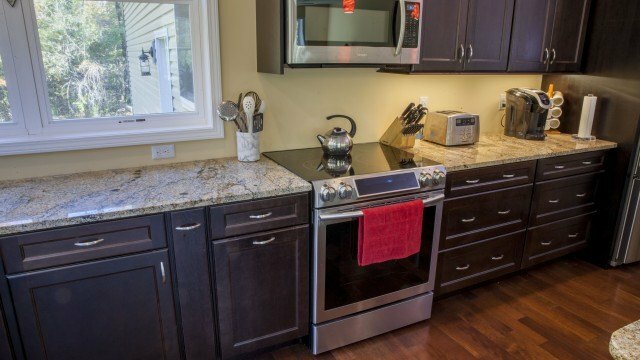 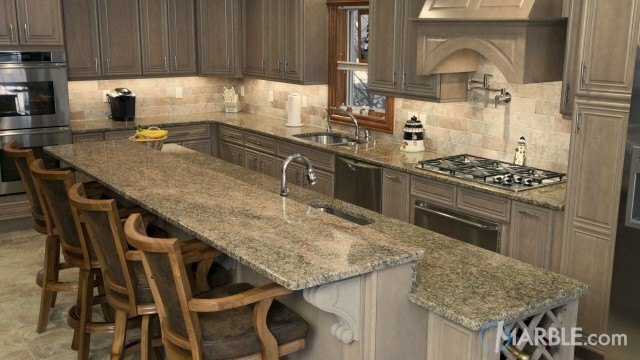 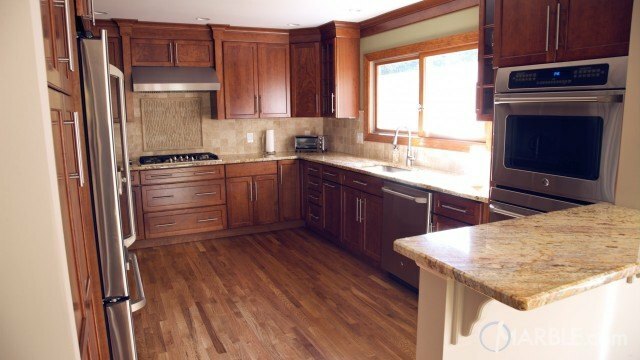 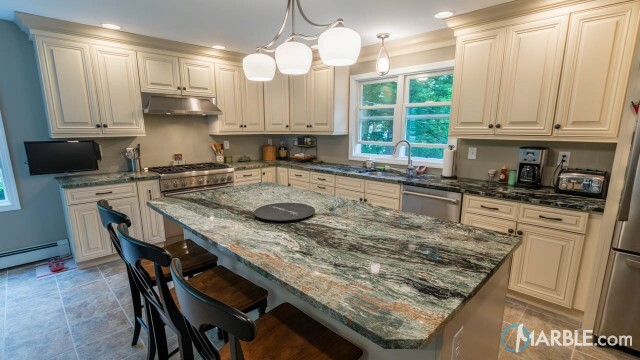 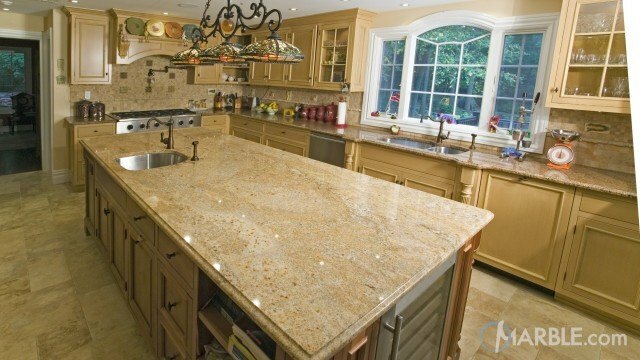 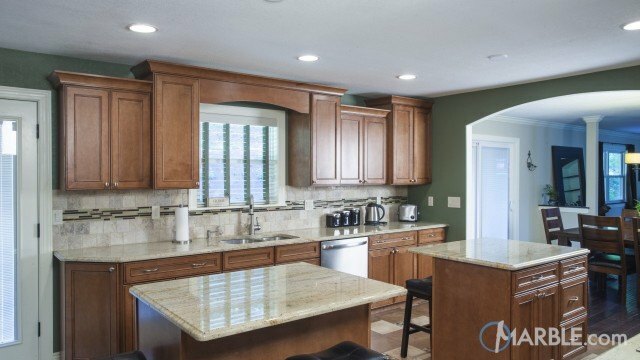 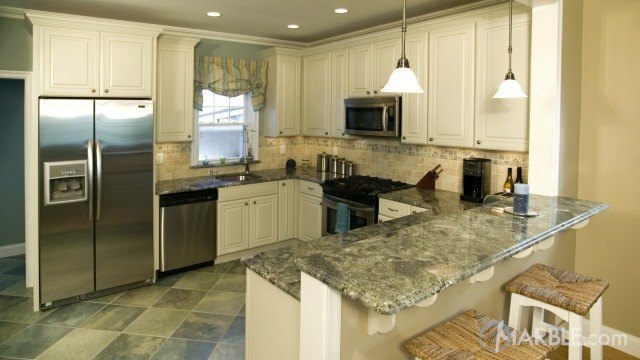 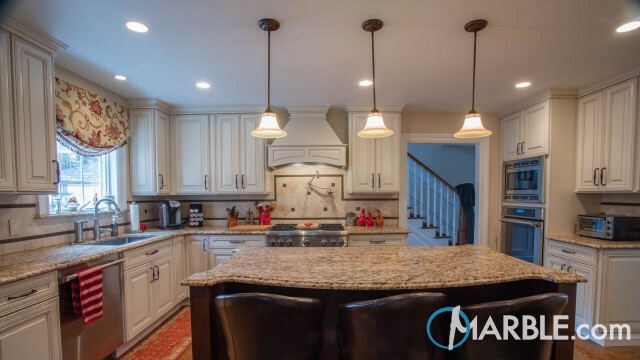 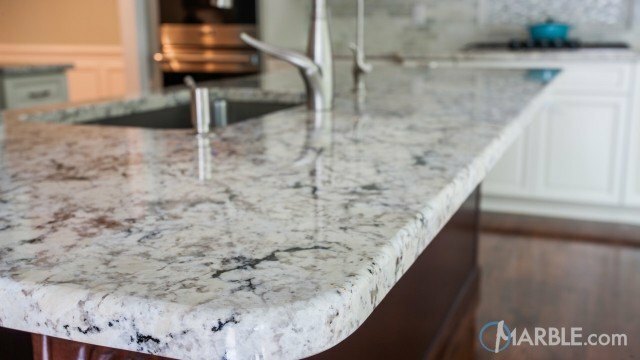 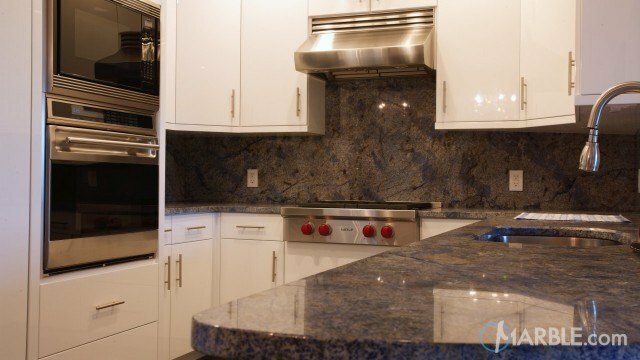 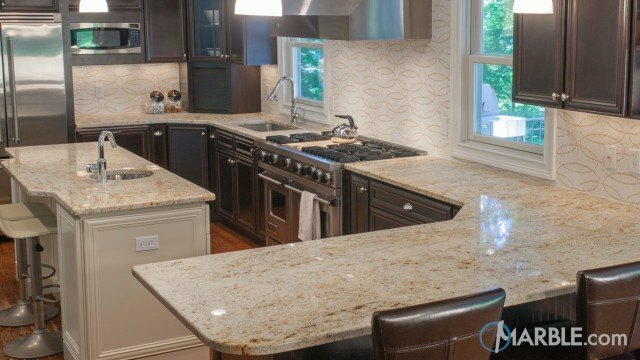 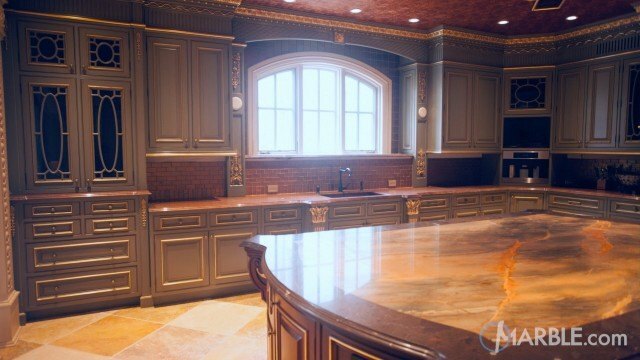 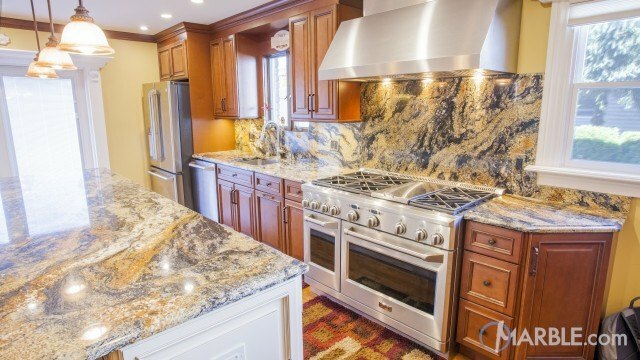 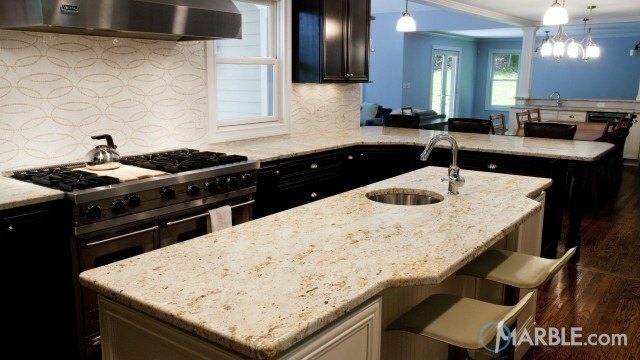 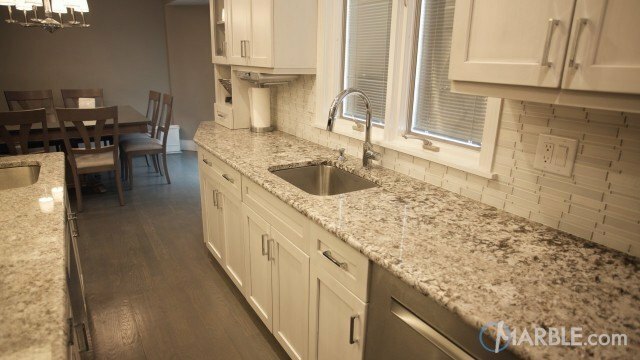 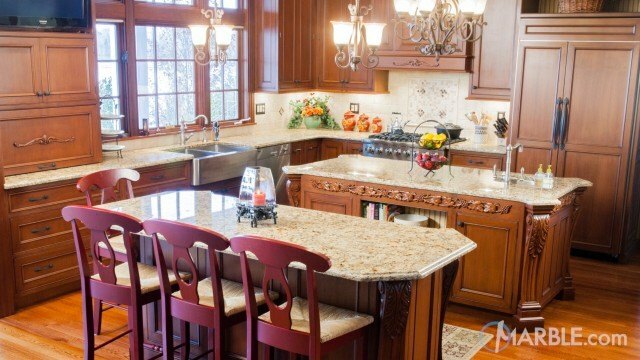 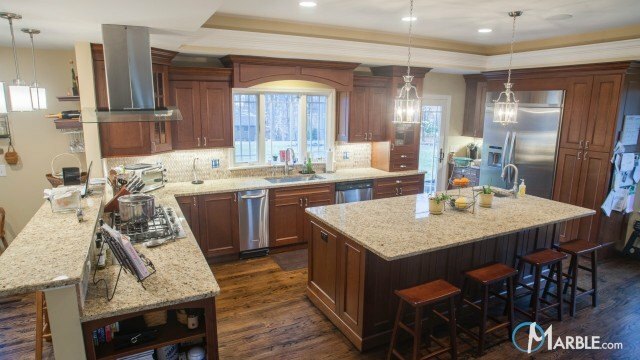 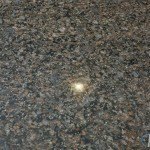 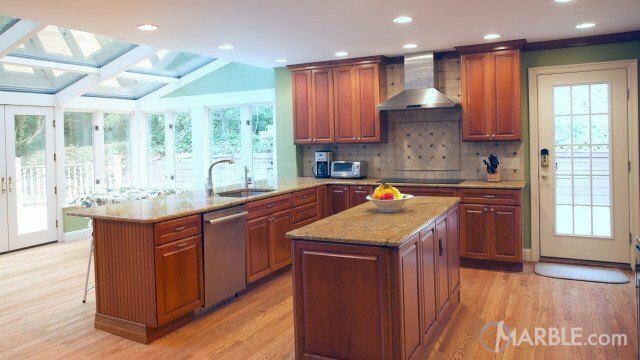 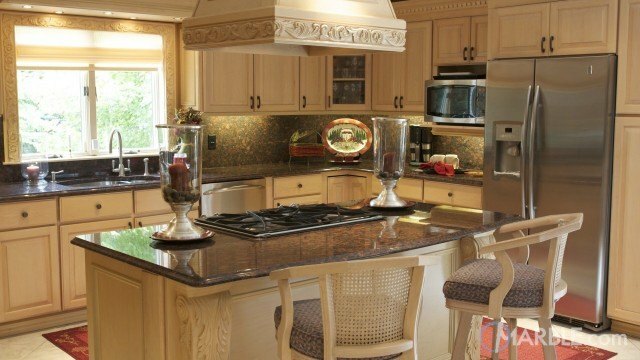 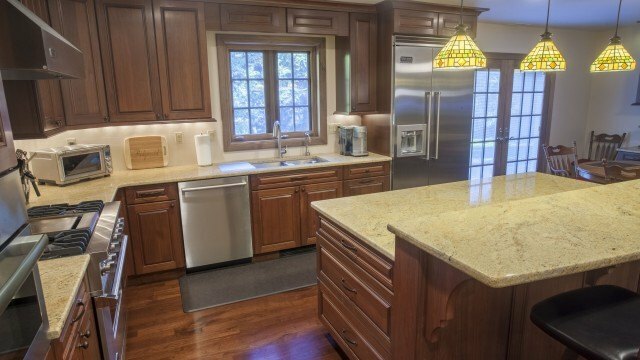 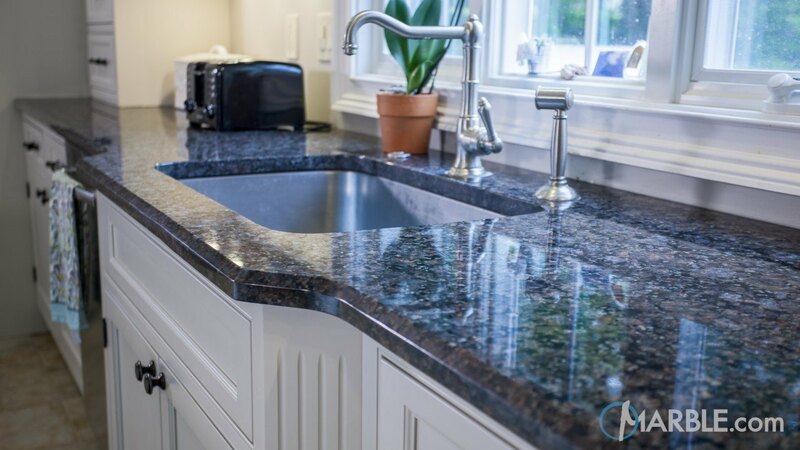 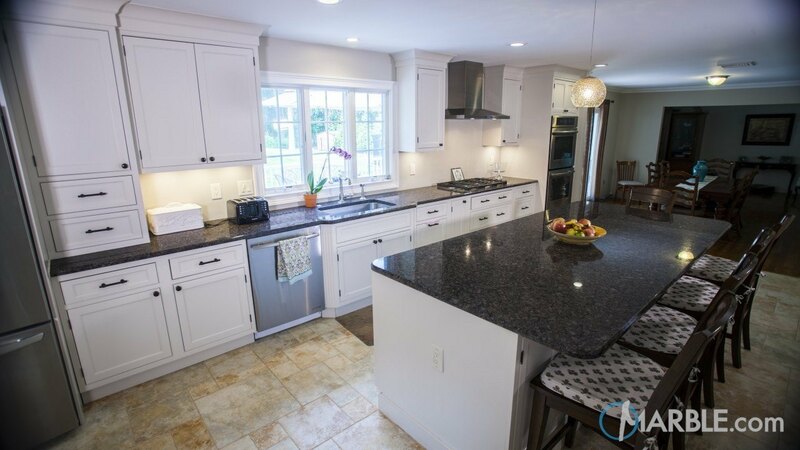 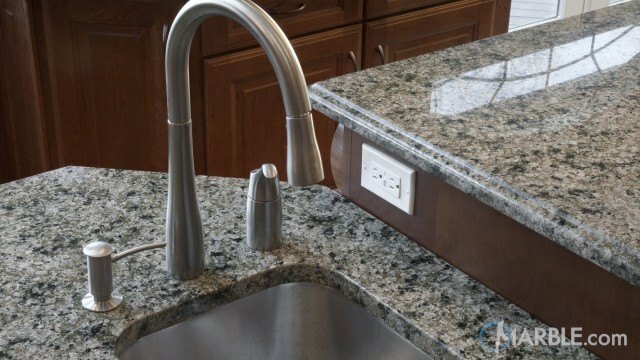 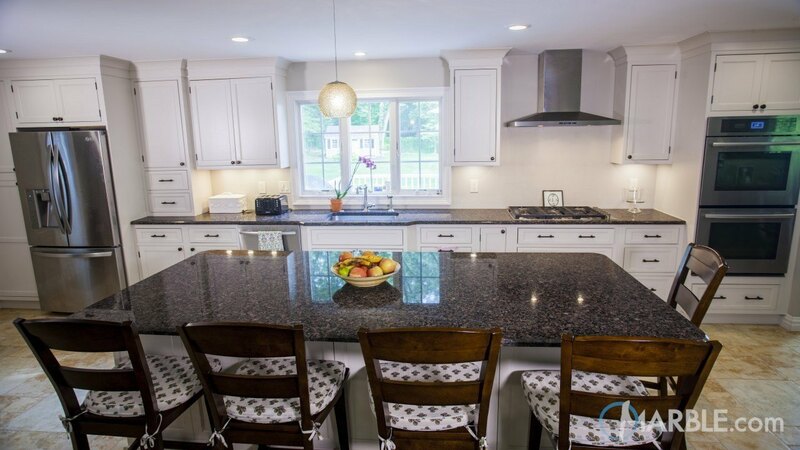 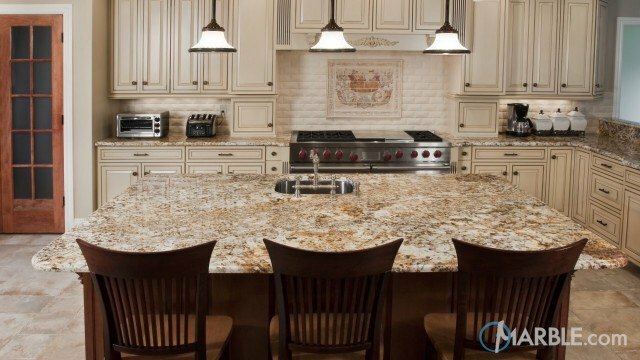 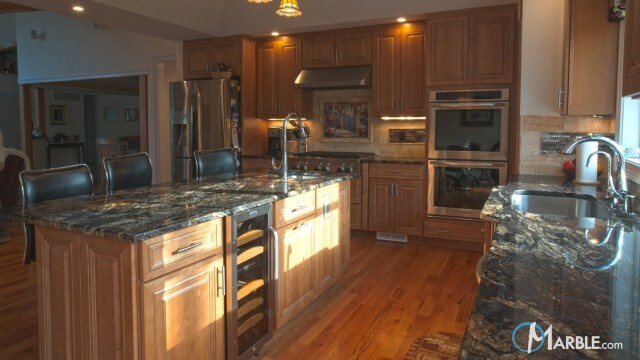 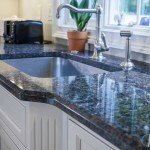 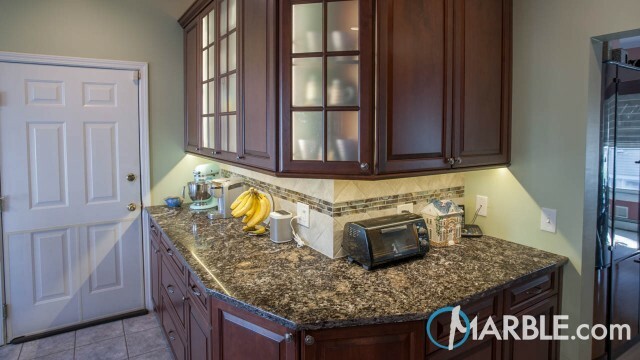 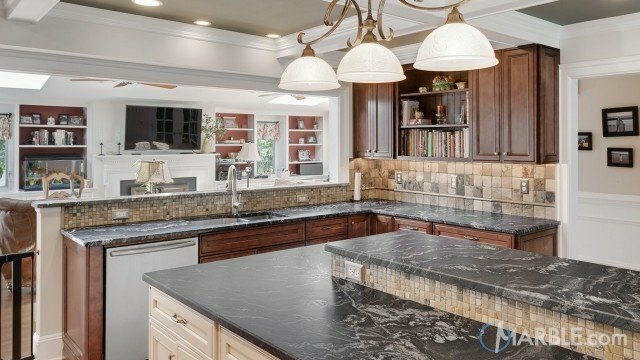 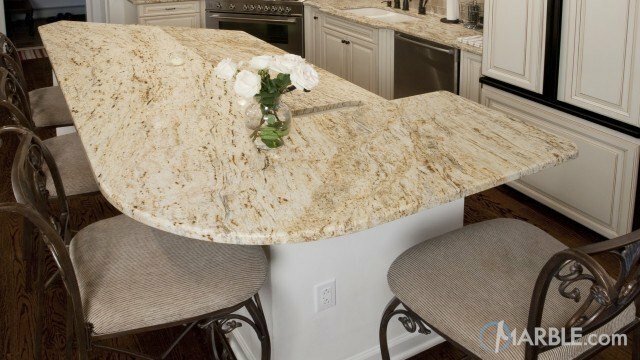 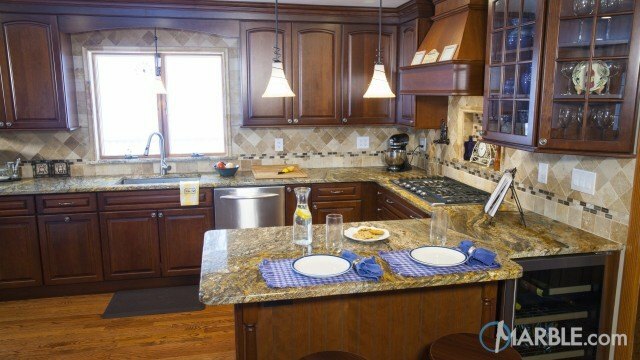 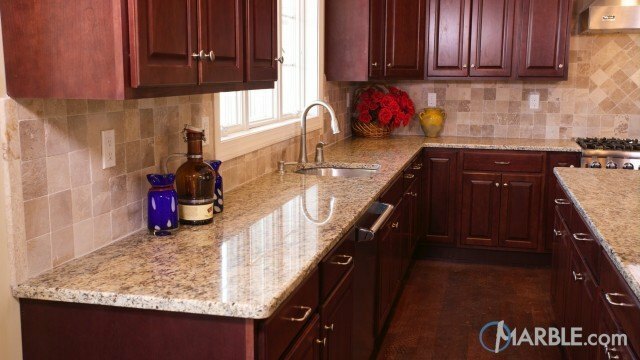 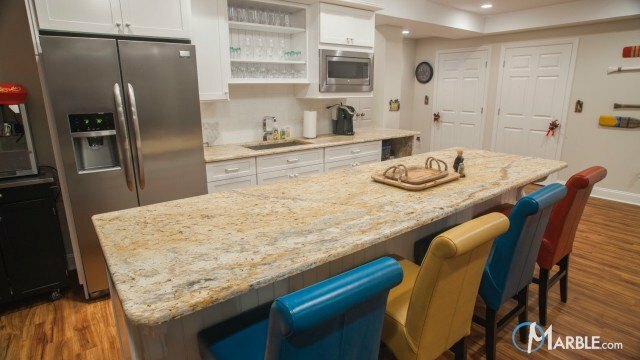 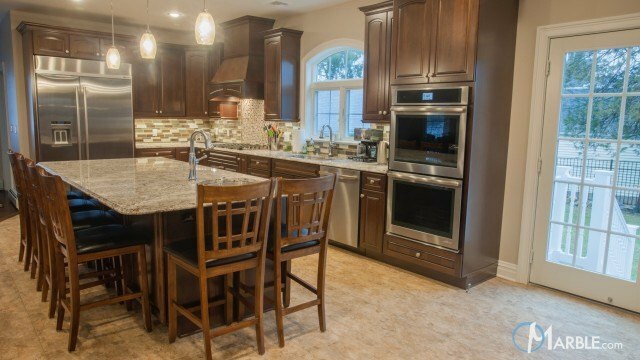 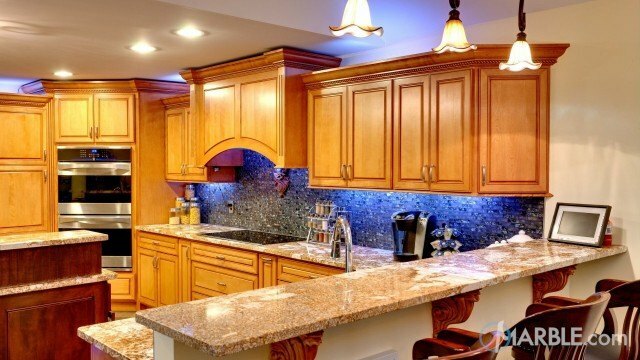 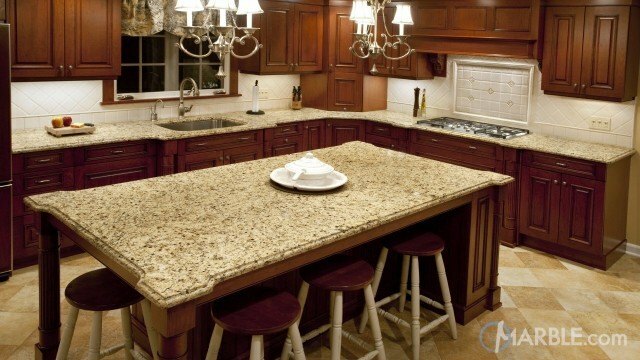 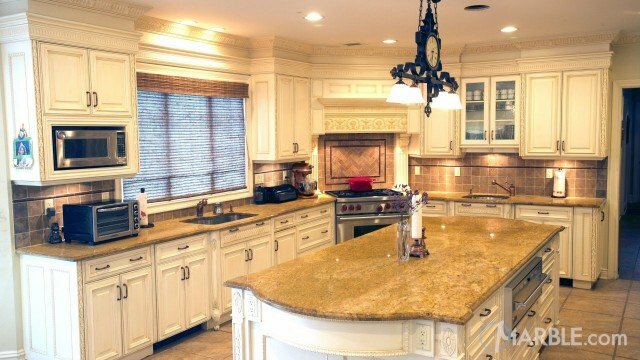 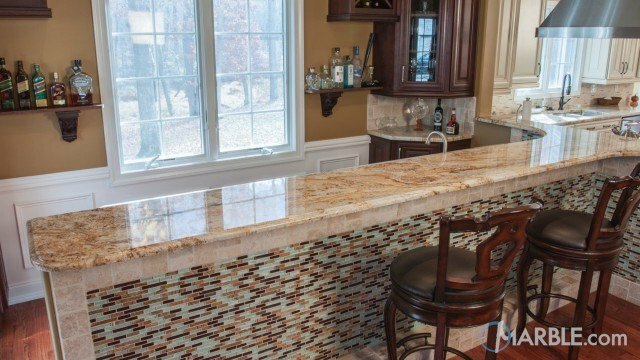 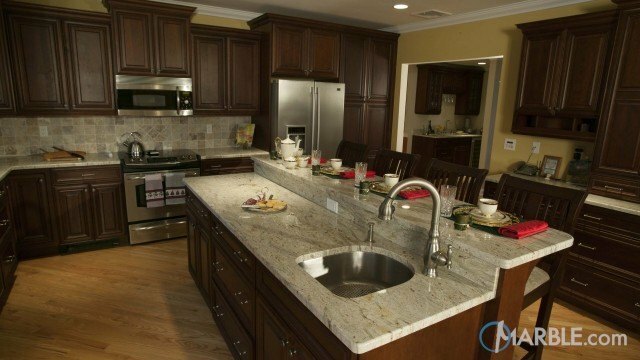 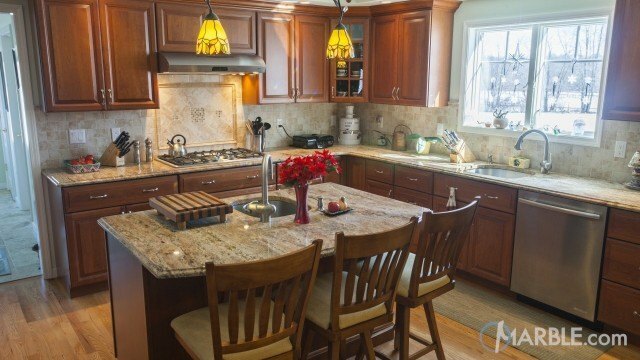 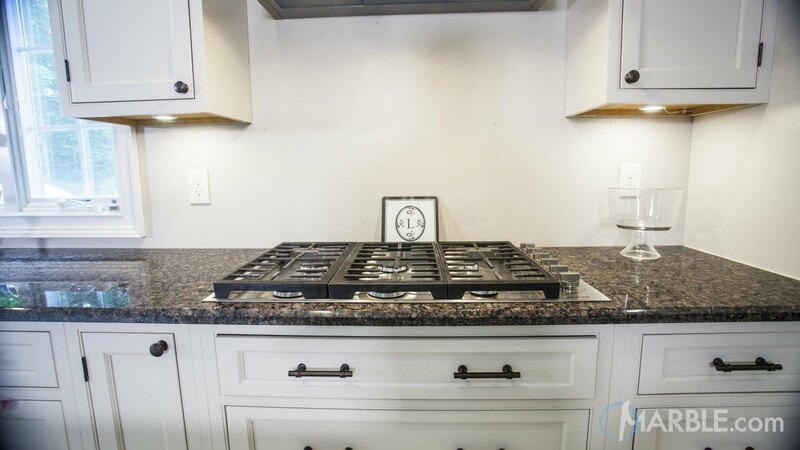 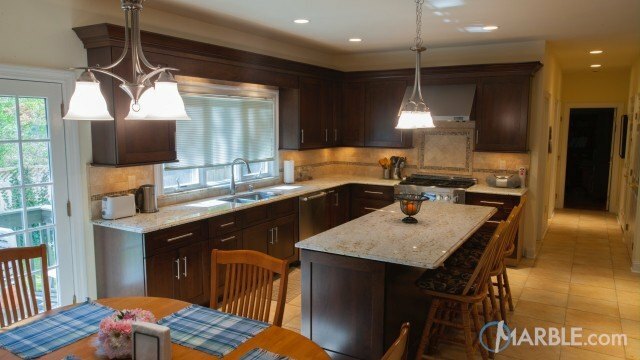 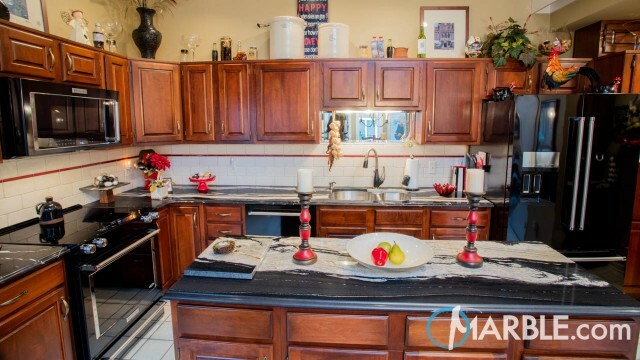 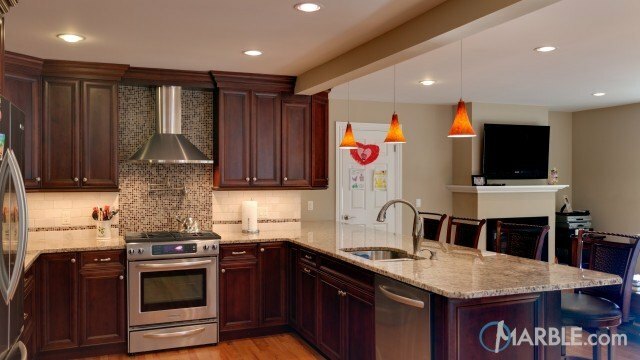 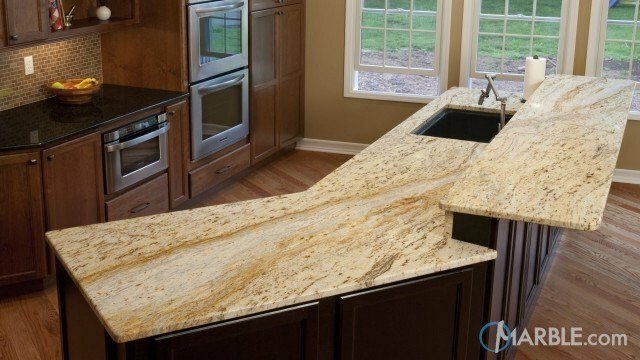 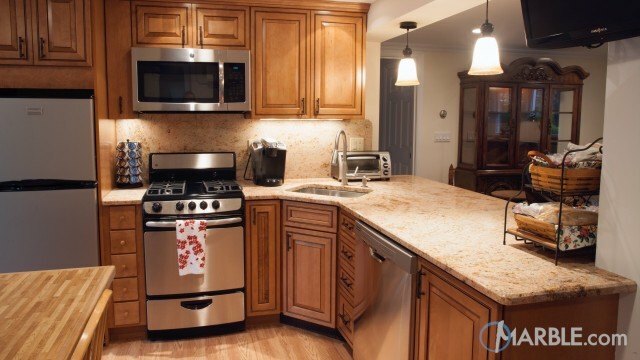 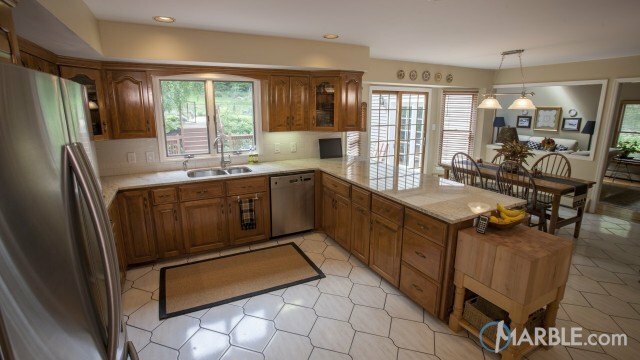 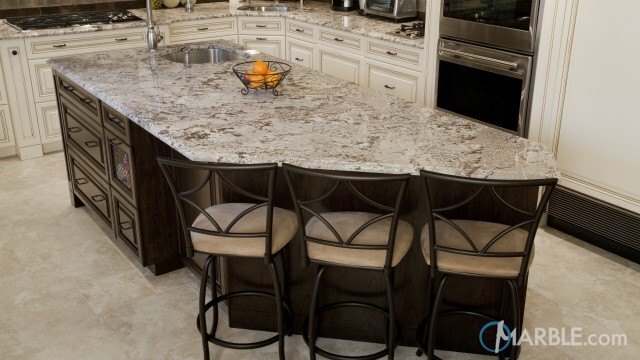 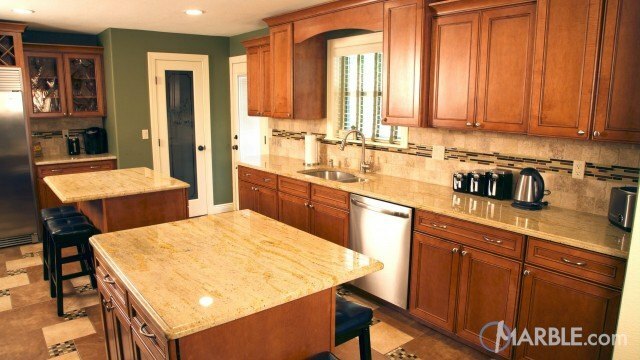 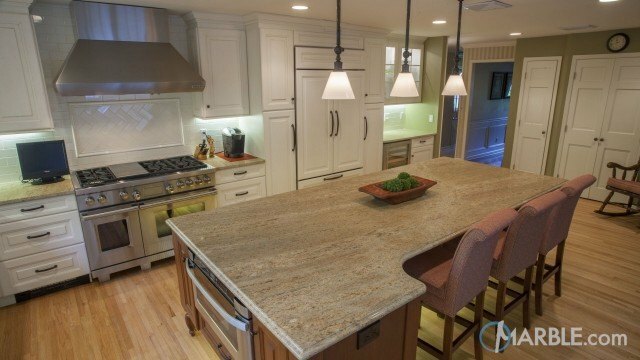 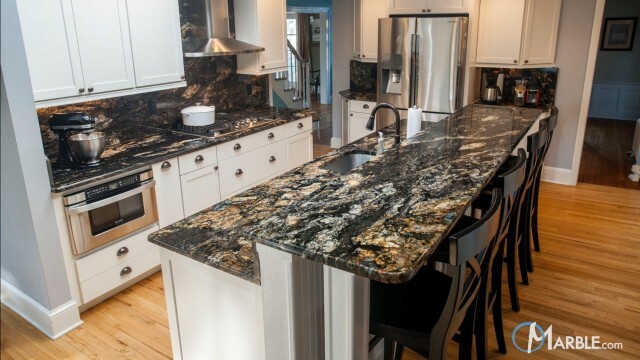 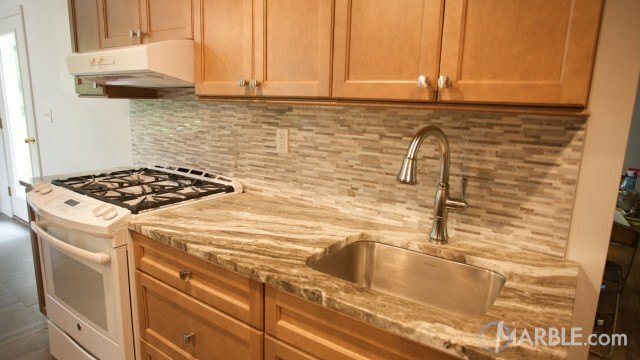 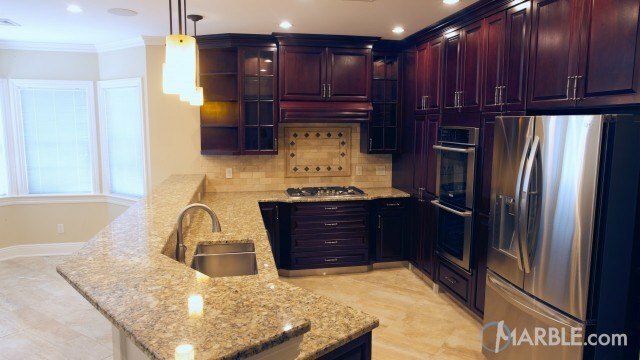 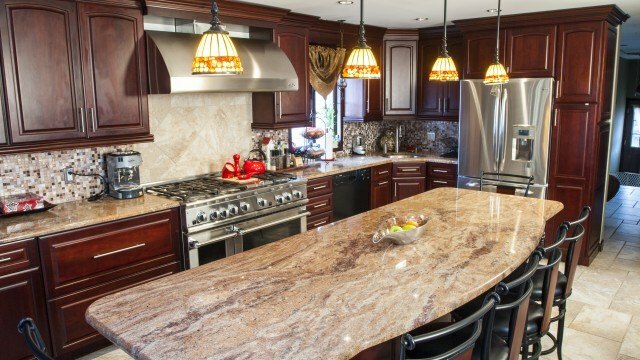 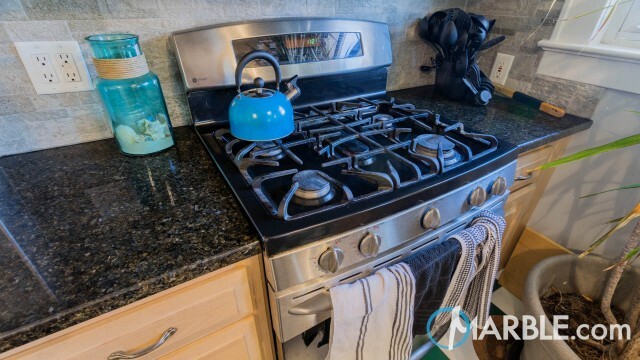 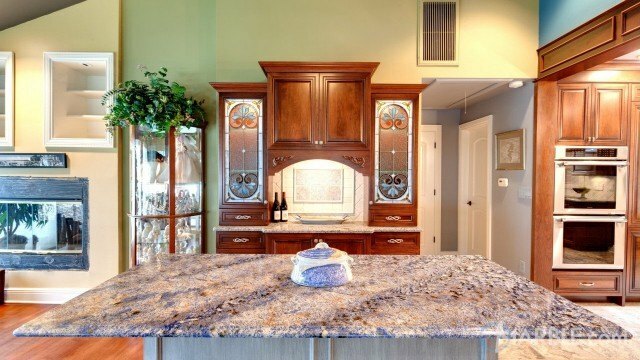 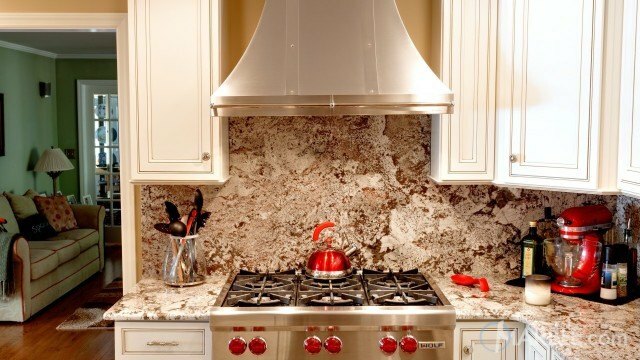 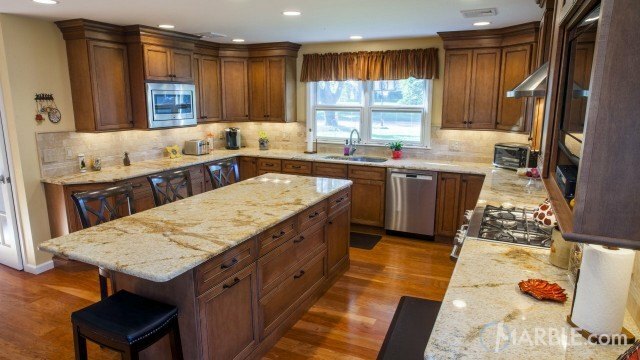 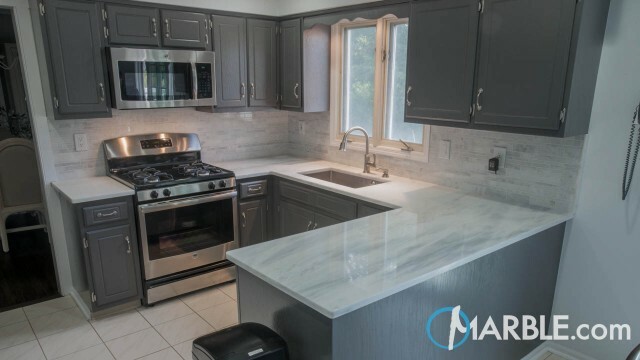 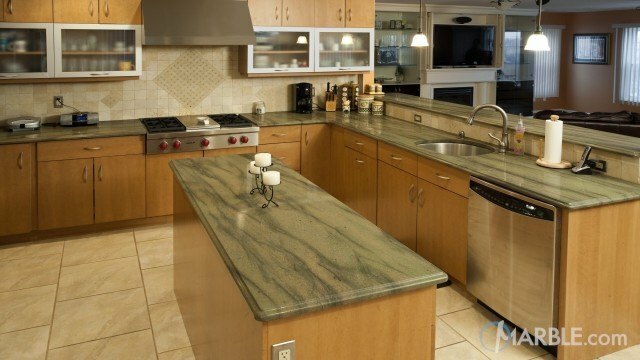 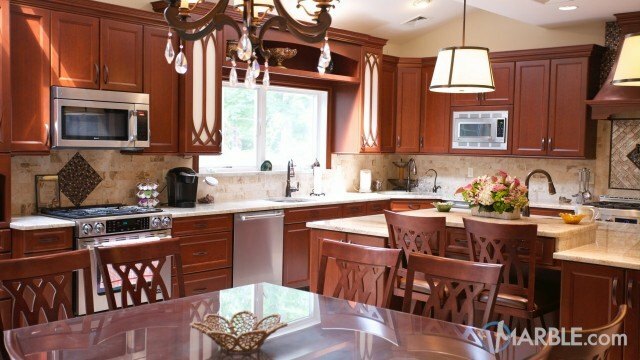 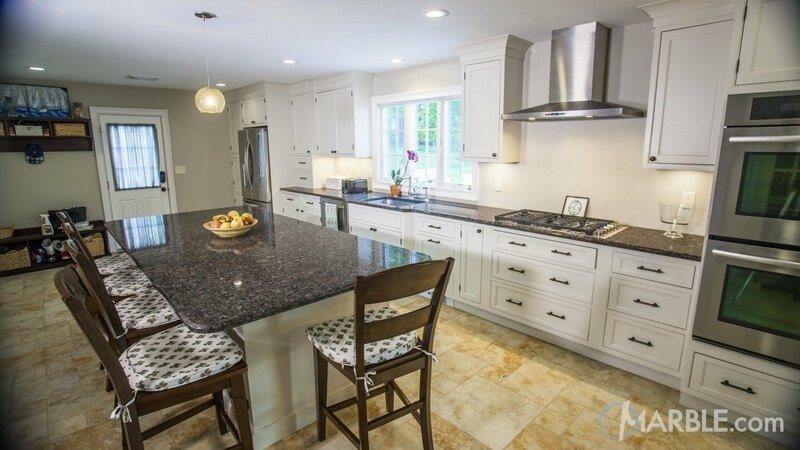 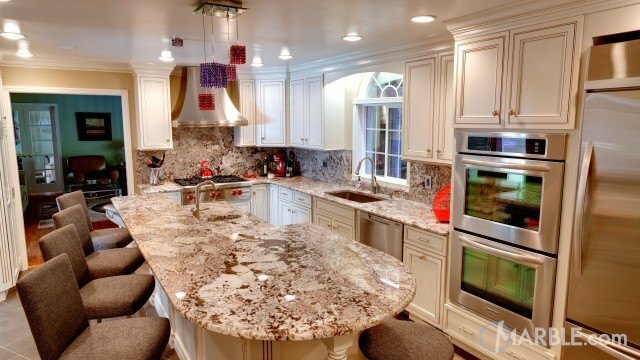 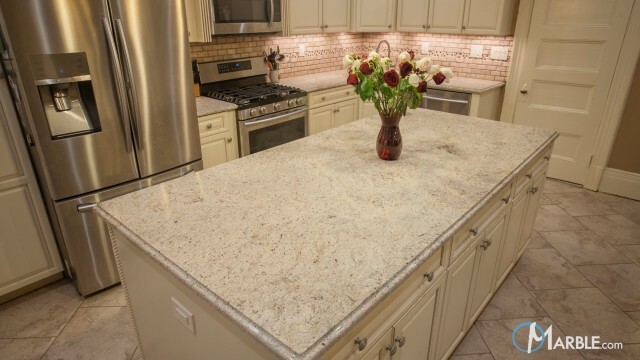 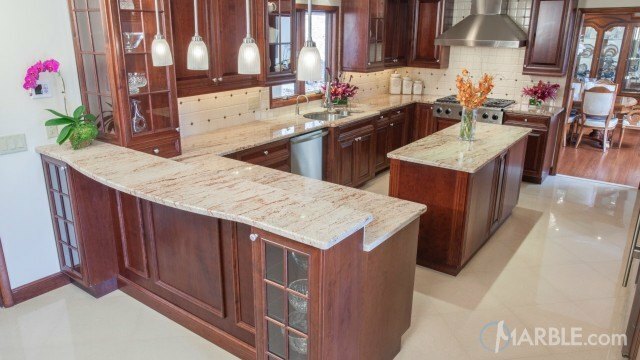 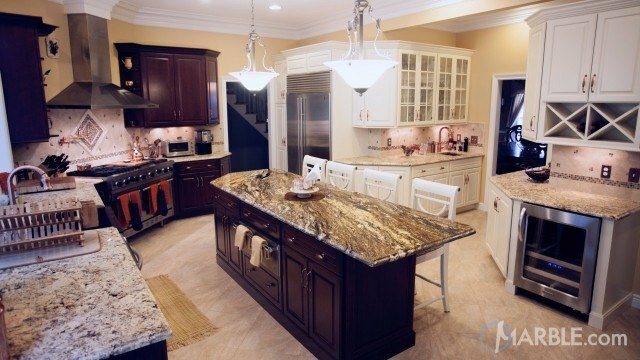 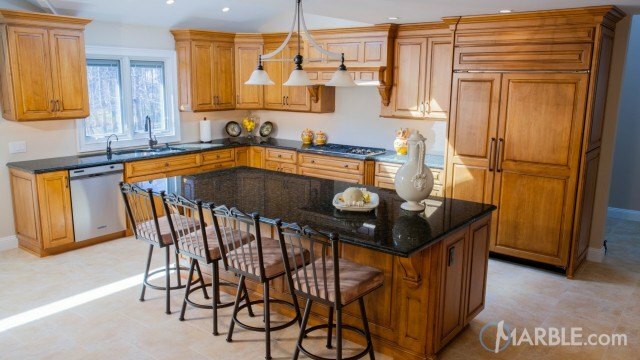 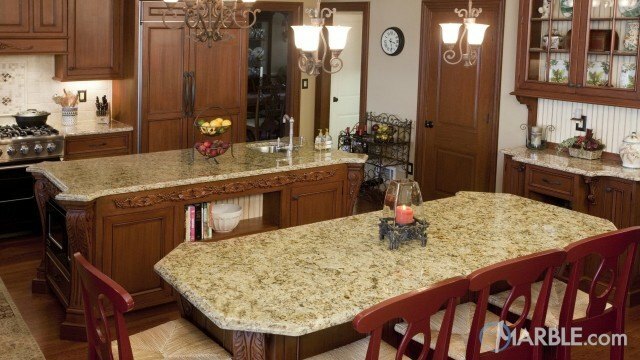 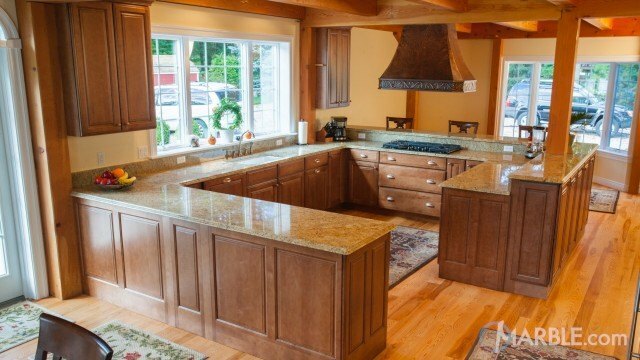 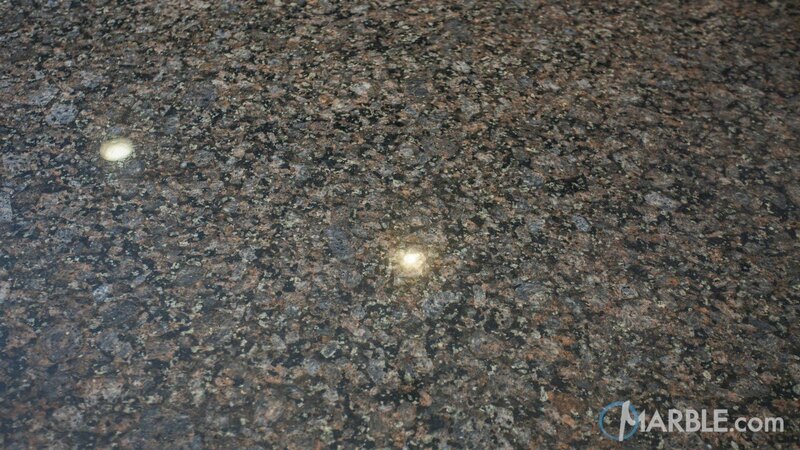 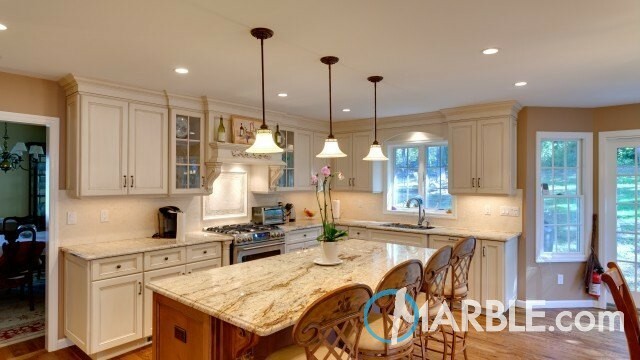 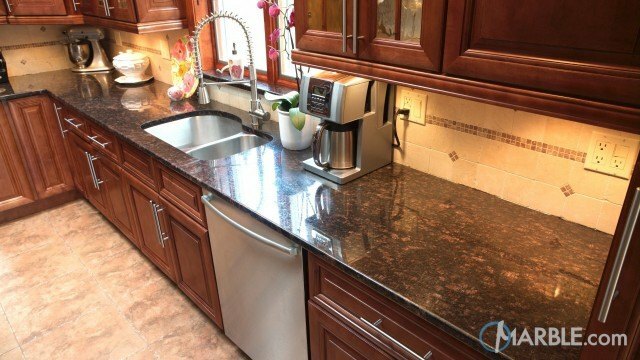 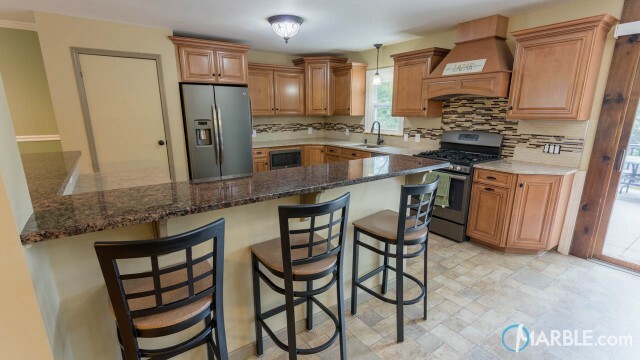 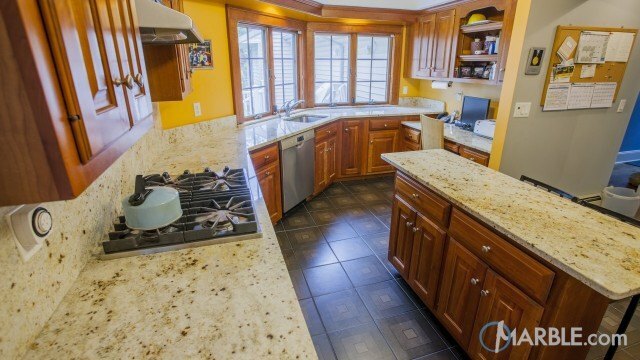 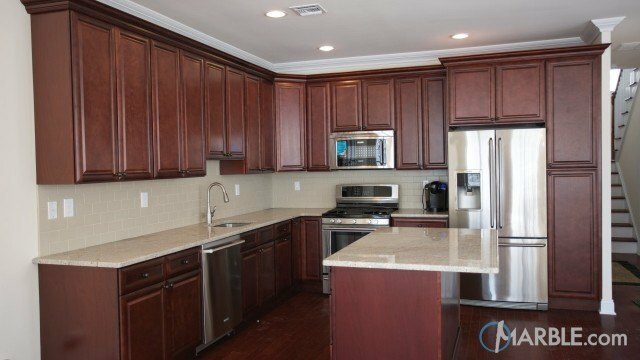 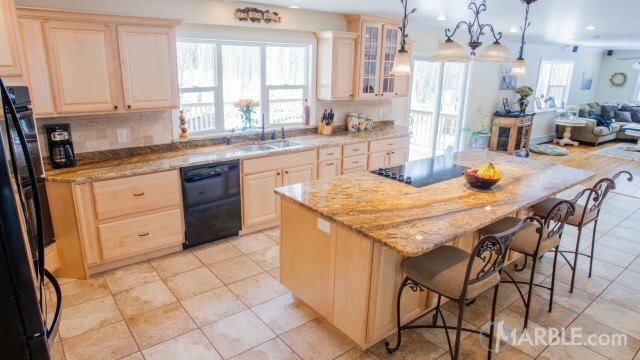 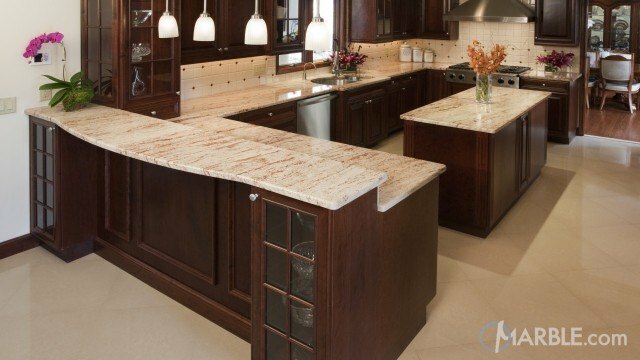 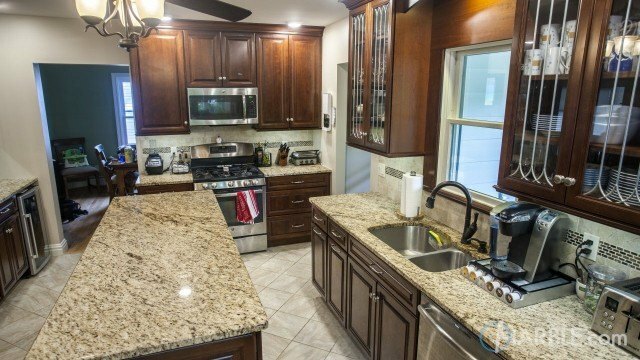 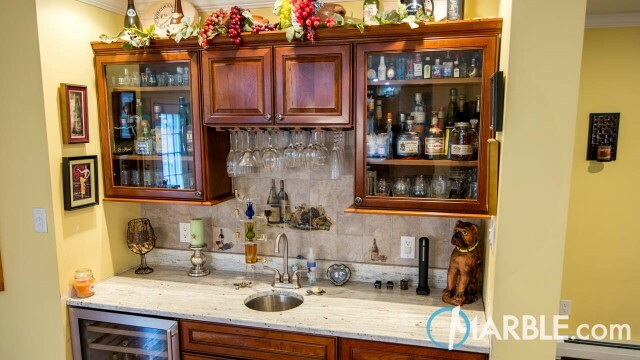 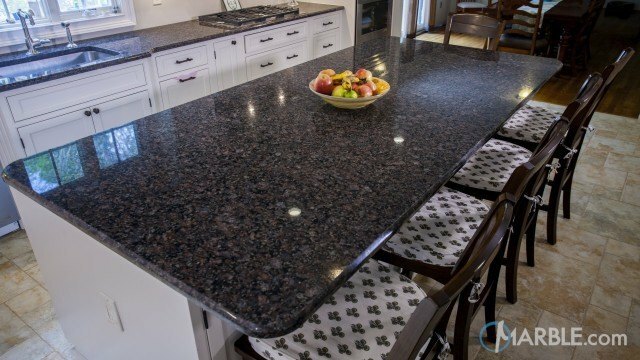 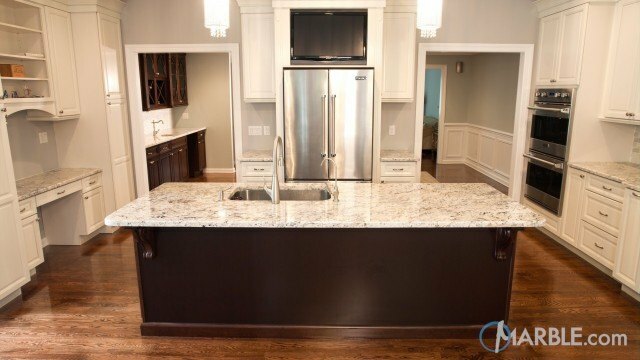 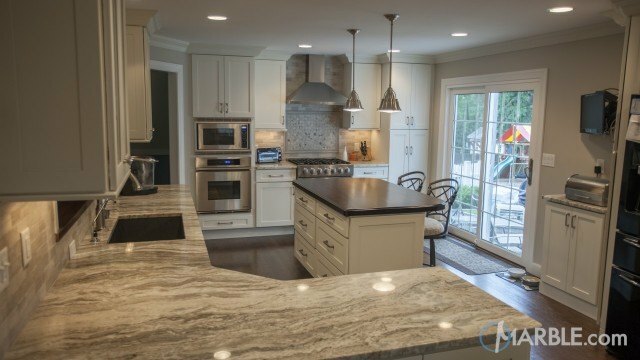 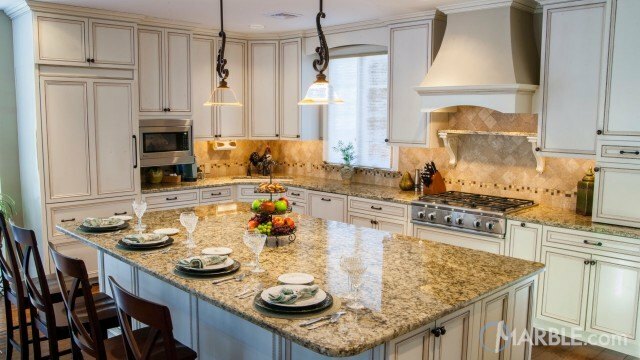 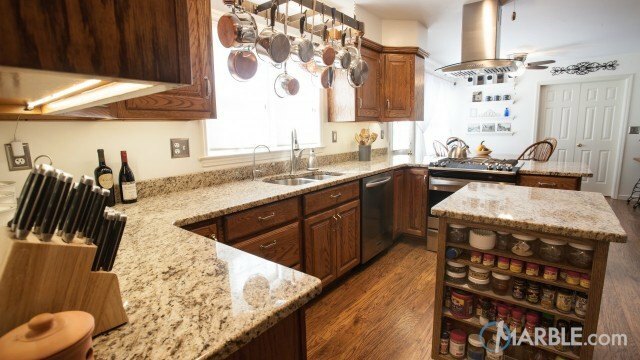 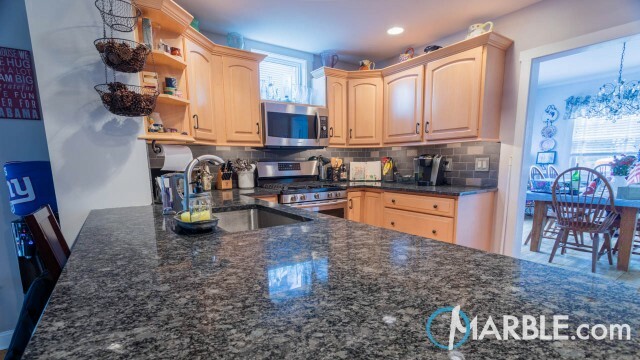 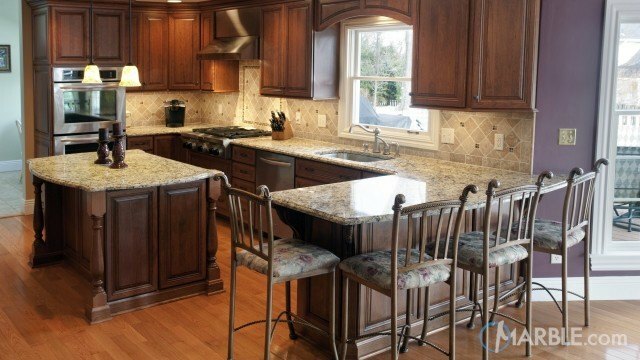 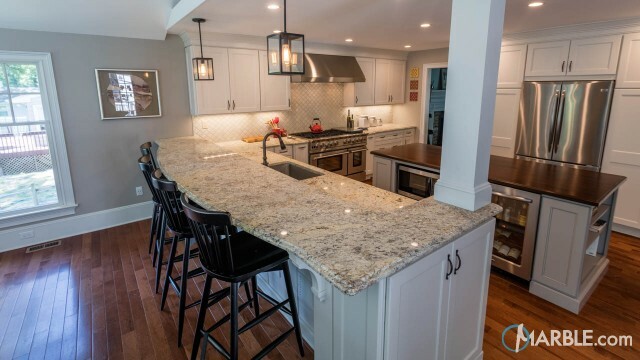 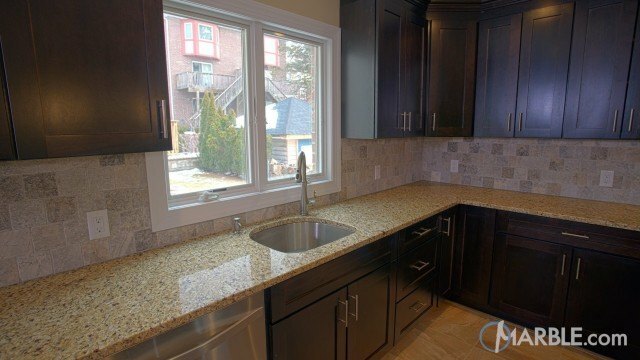 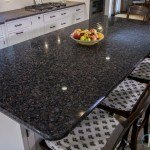 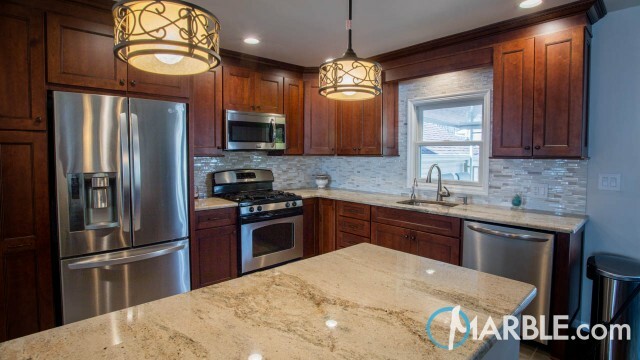 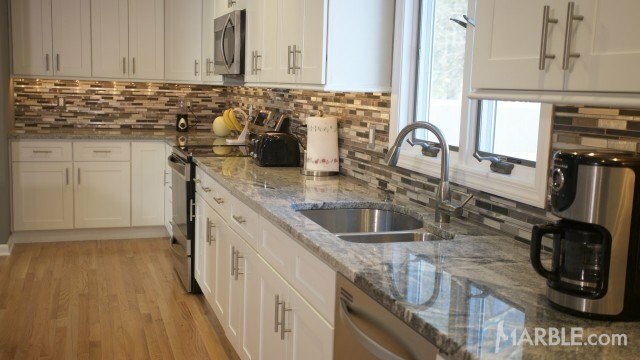 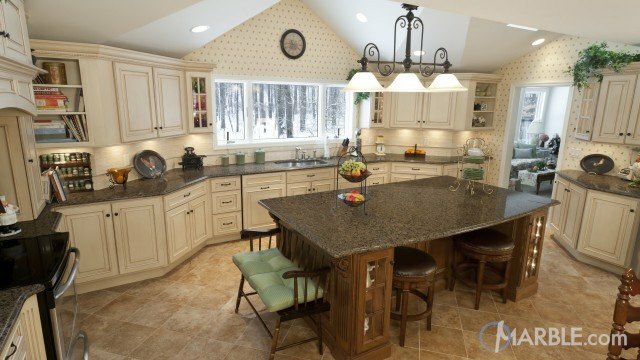 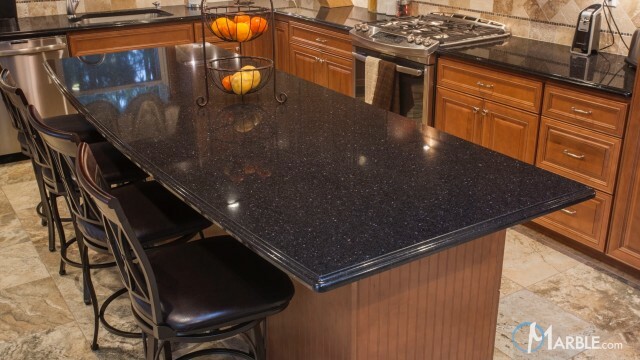 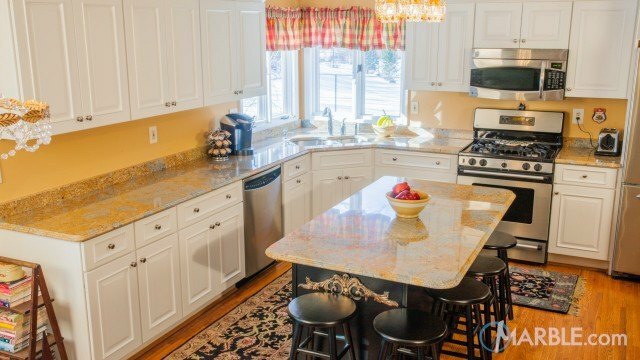 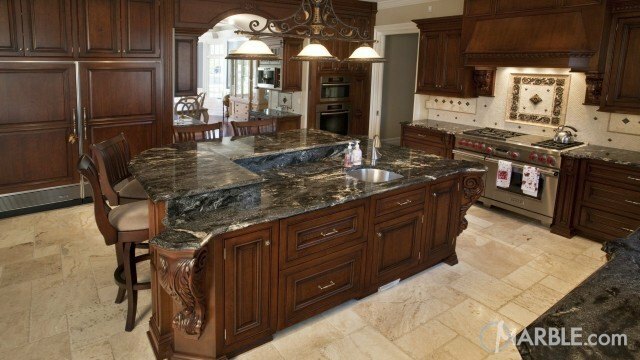 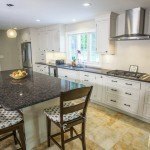 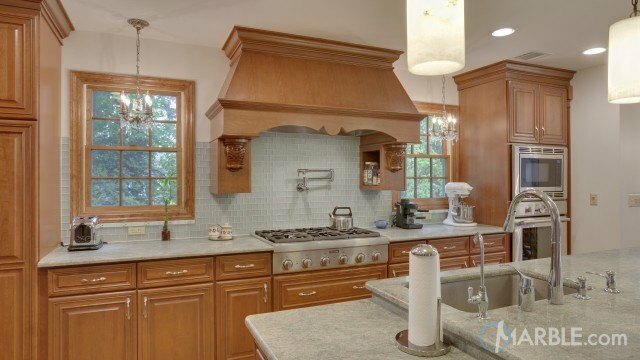 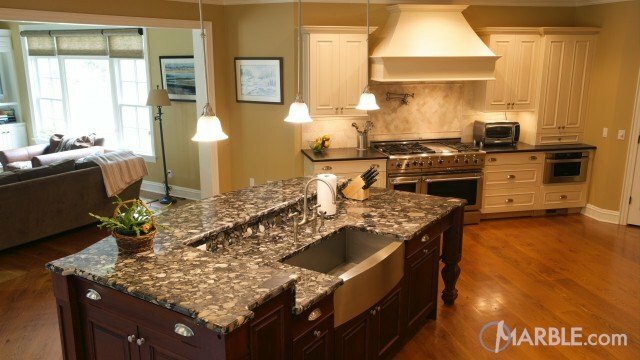 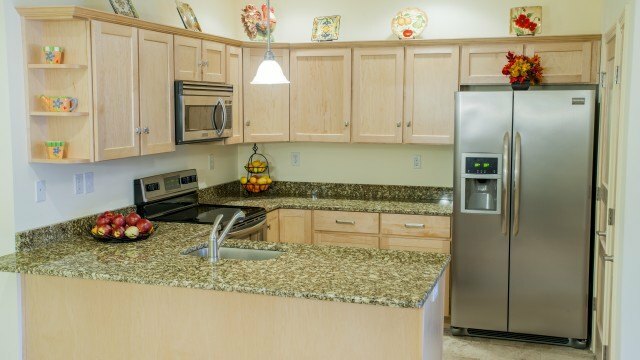 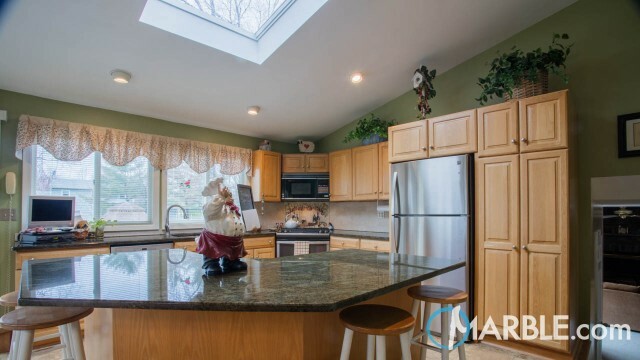 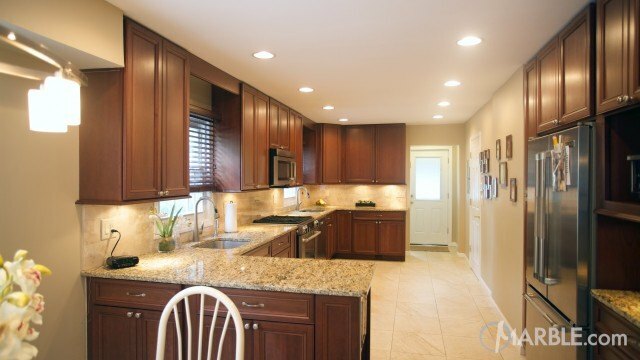 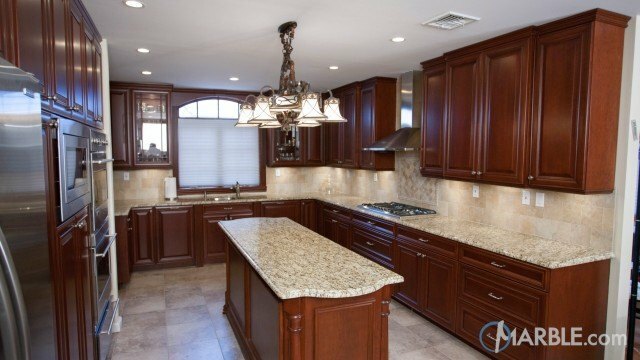 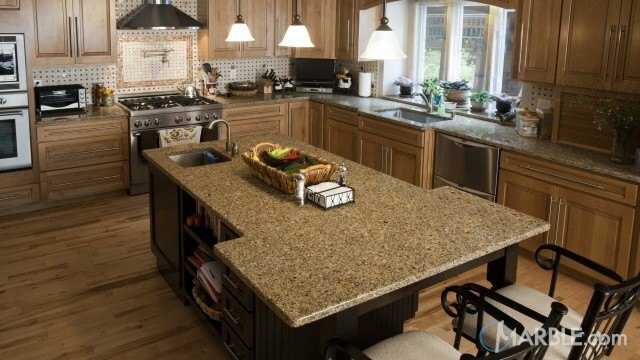 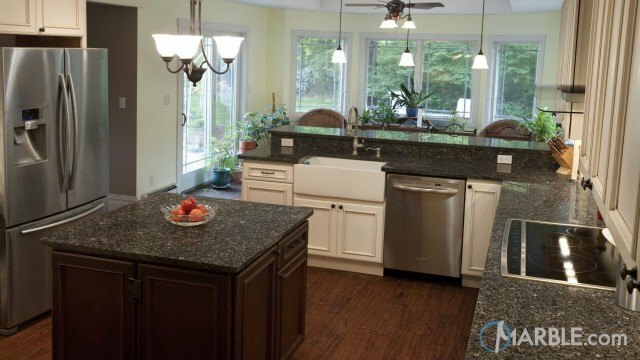 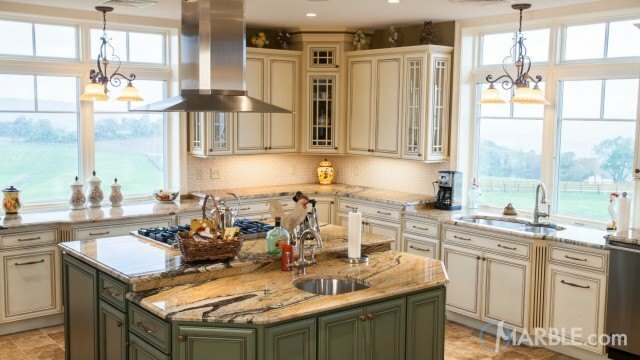 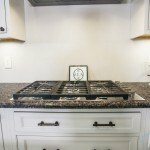 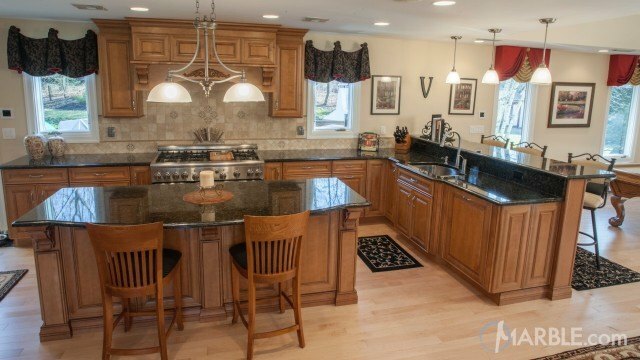 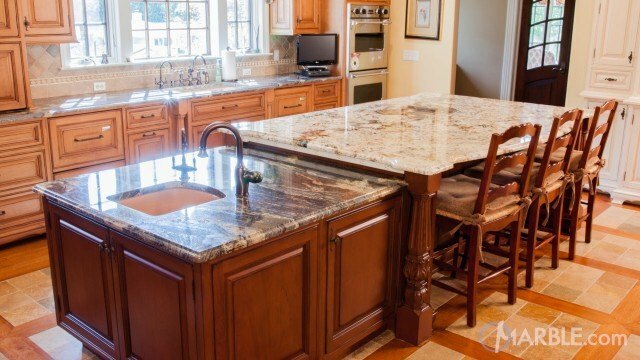 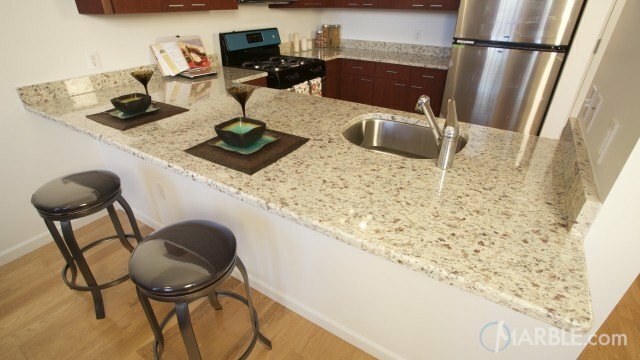 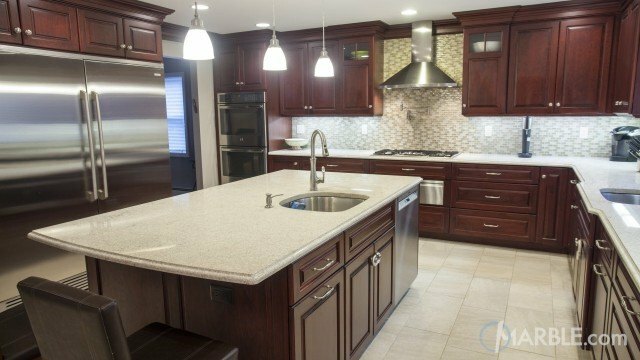 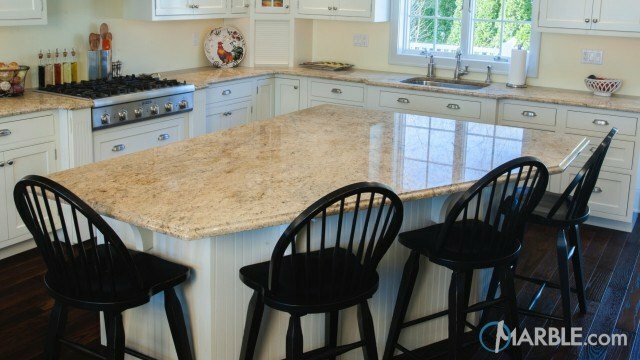 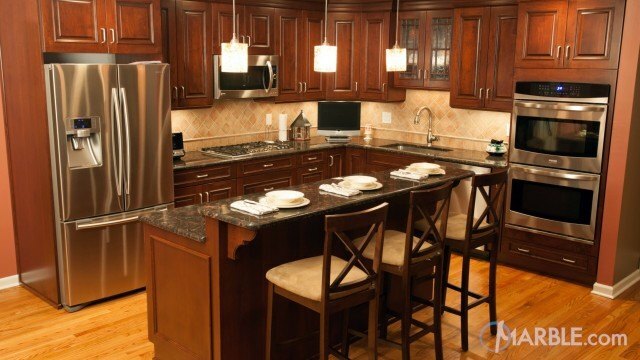 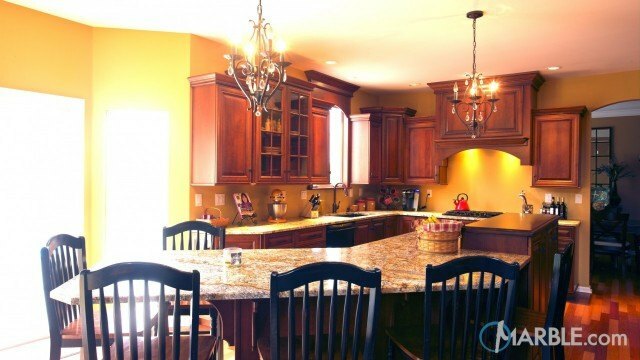 This kitchen features a Royal Brown Granite with a Half Bevel. 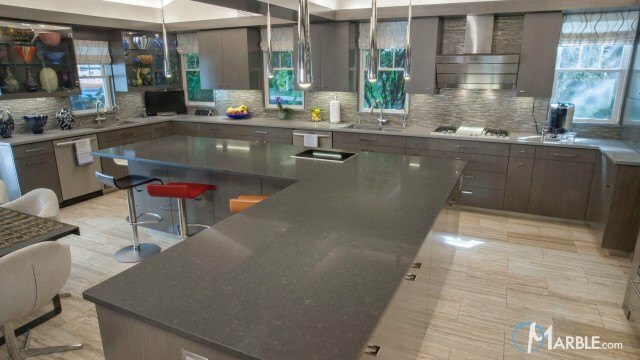 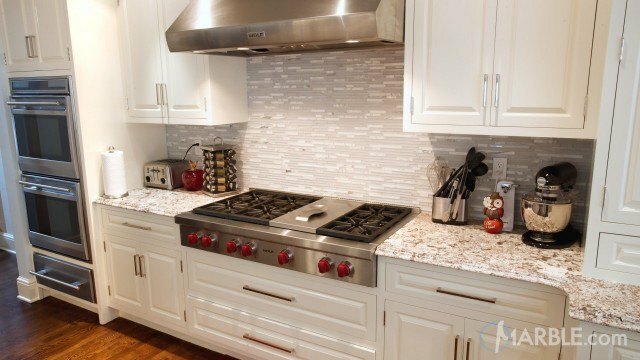 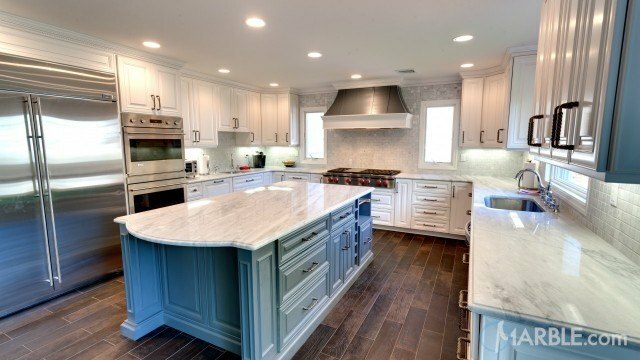 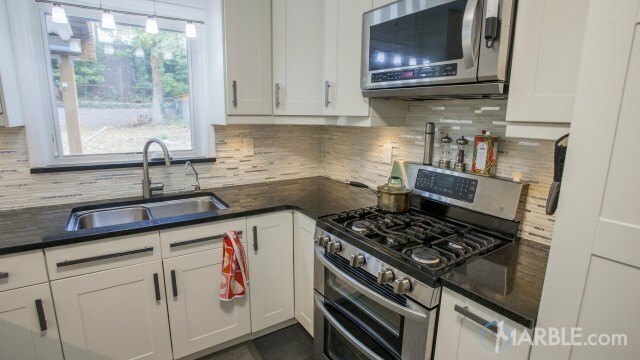 The Half Bevel edge gives a unique sleek look through out this stunning kitchen. 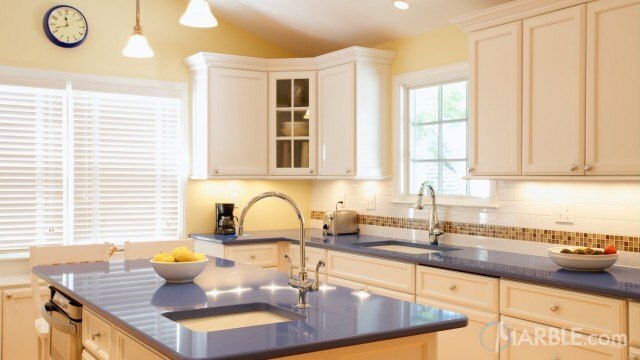 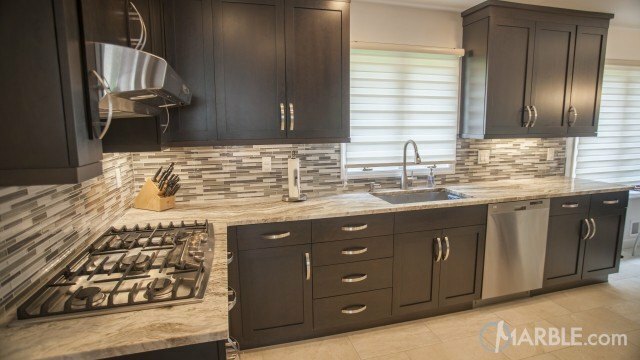 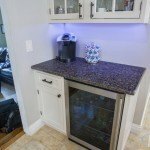 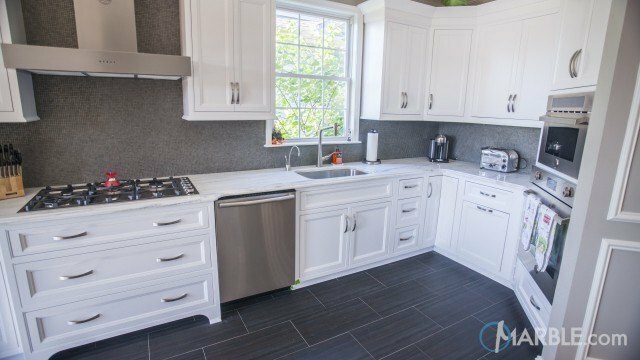 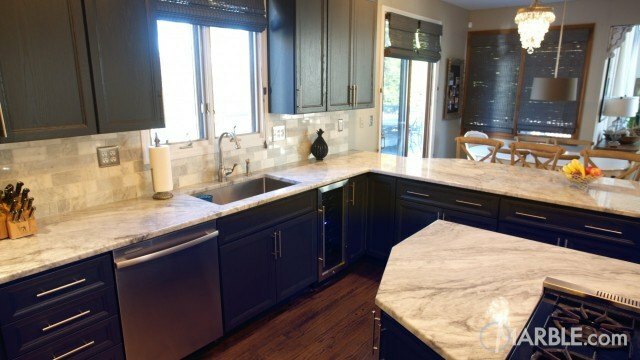 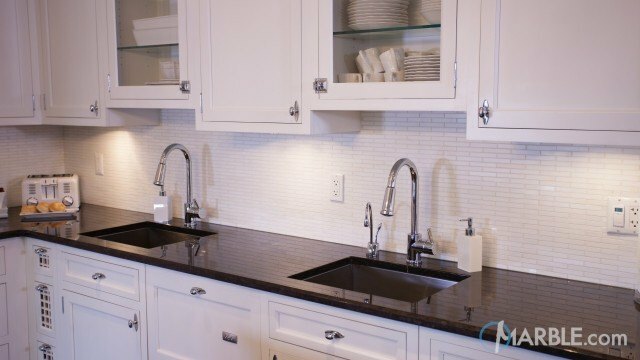 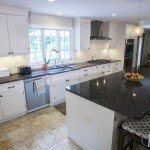 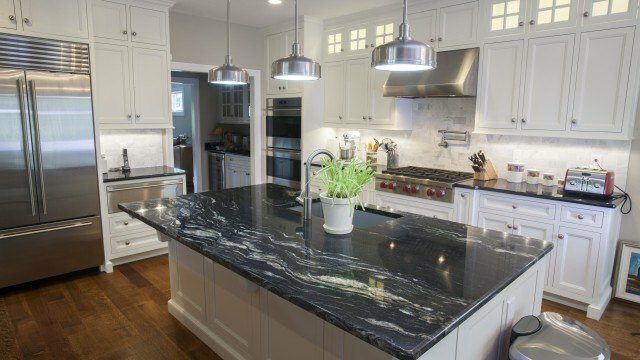 The dark countertop is a beautiful contrast to the white cabinets. 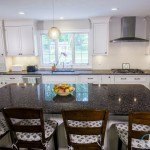 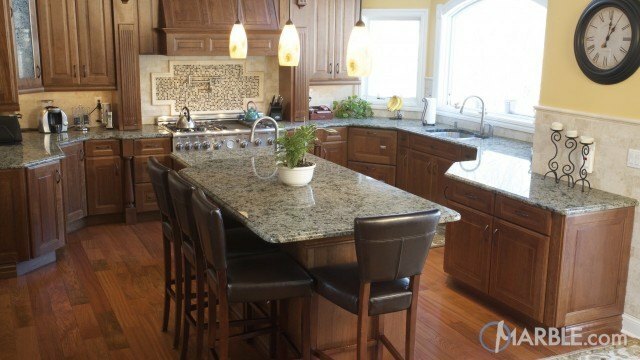 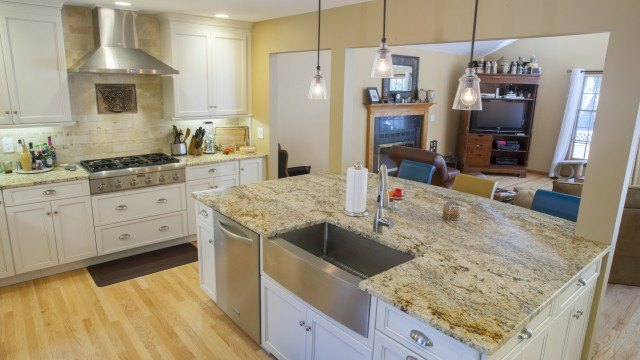 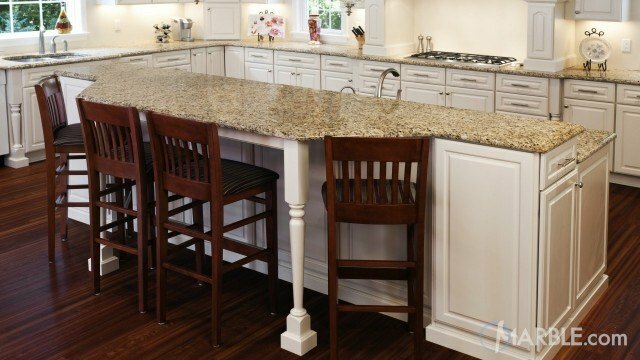 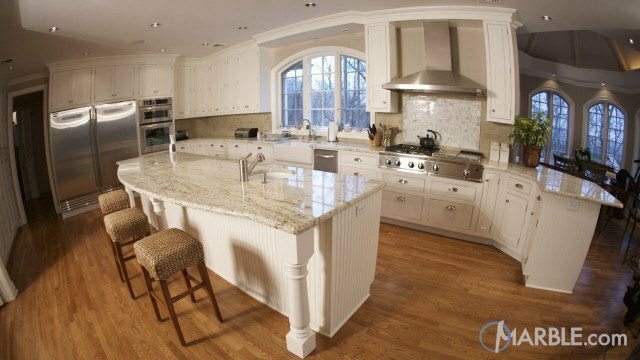 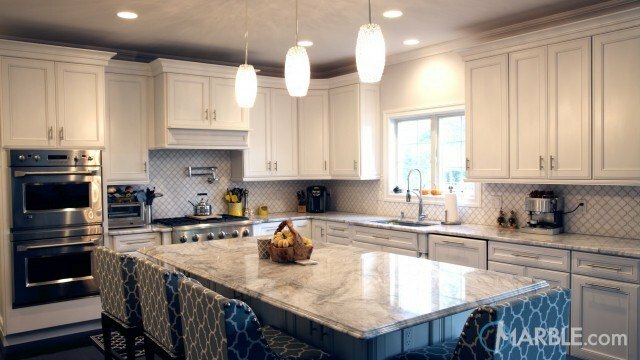 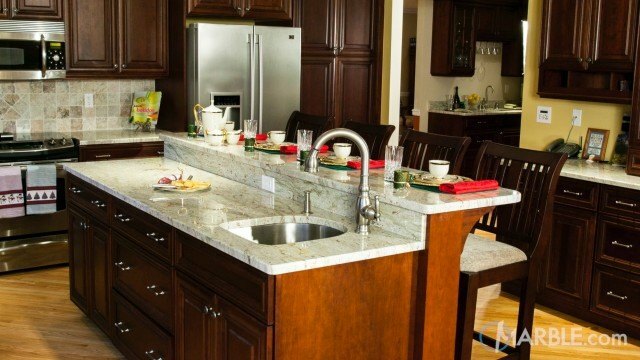 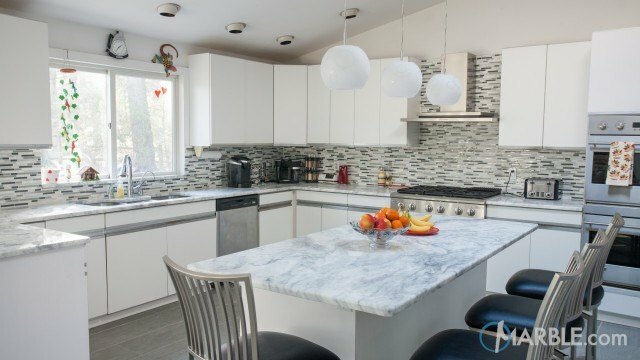 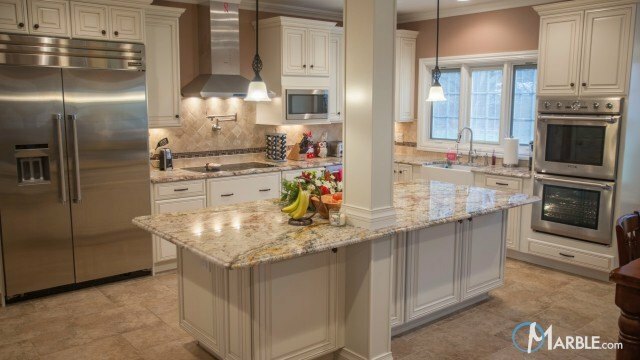 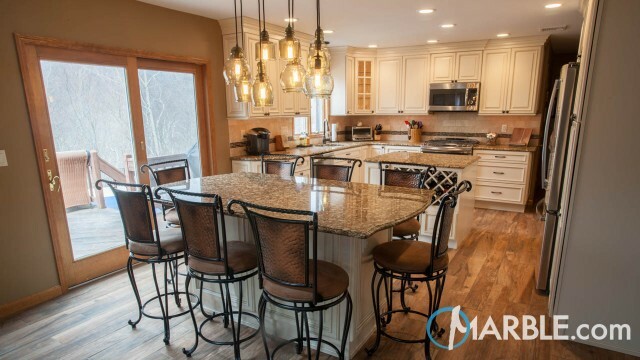 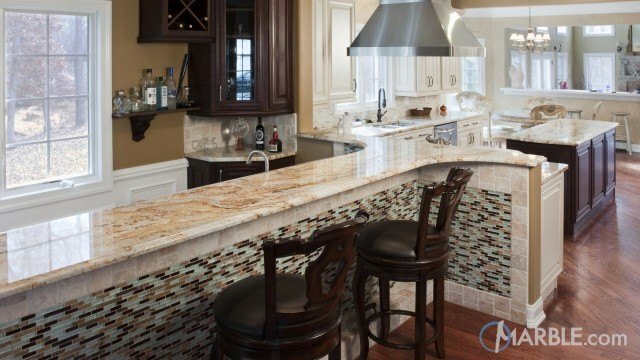 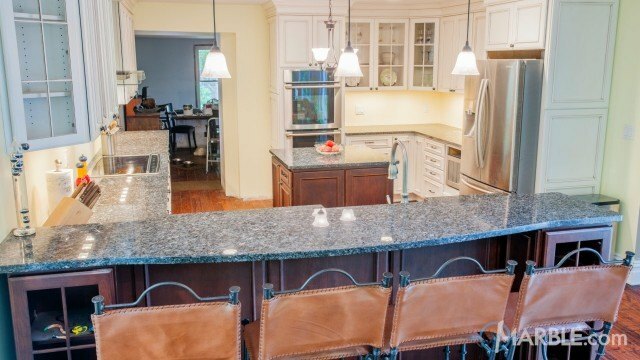 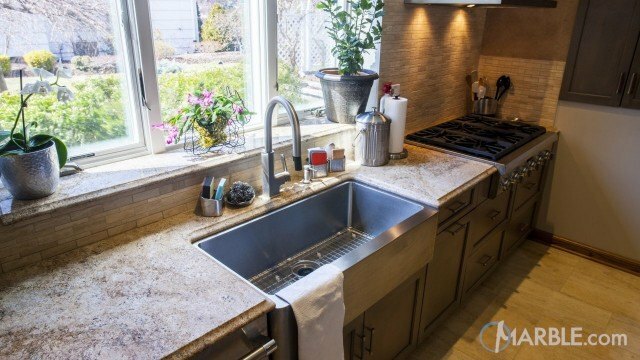 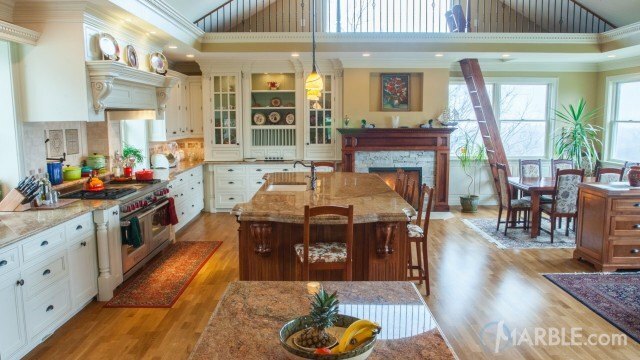 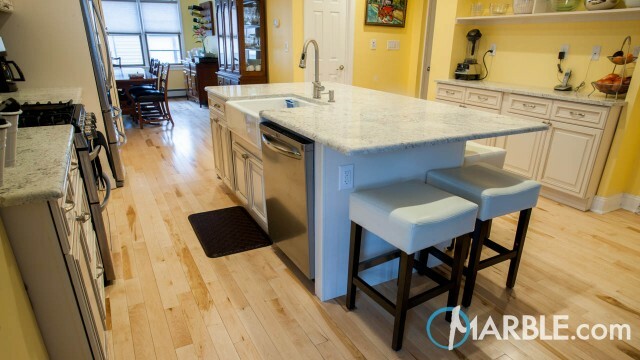 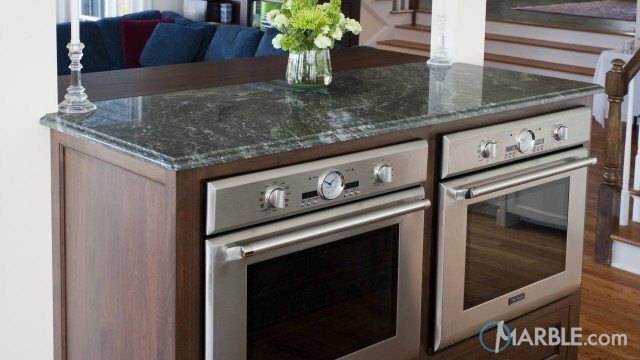 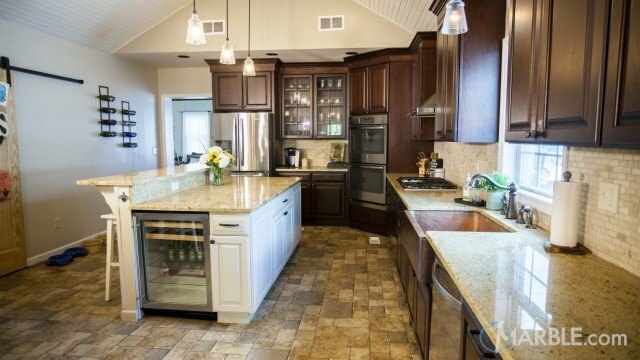 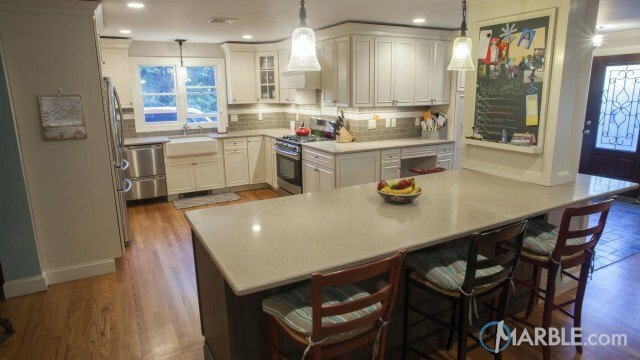 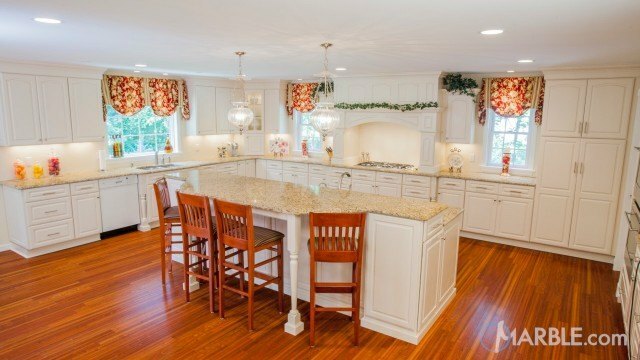 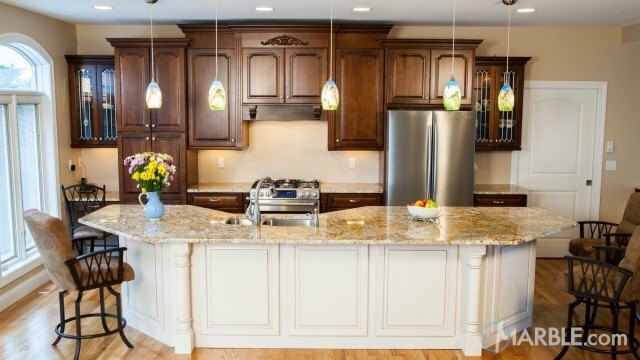 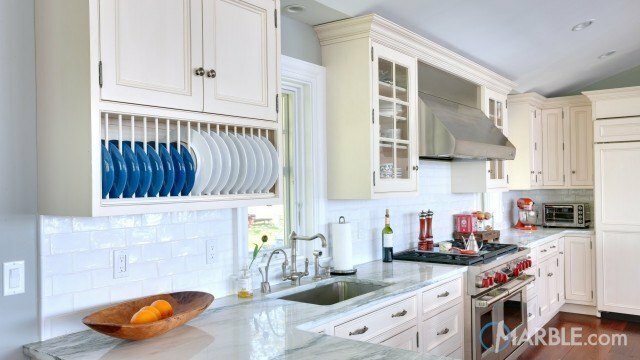 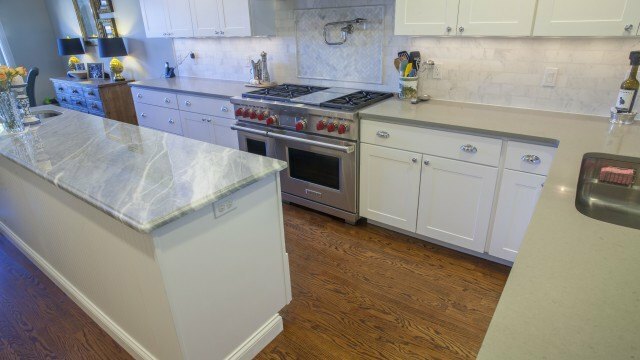 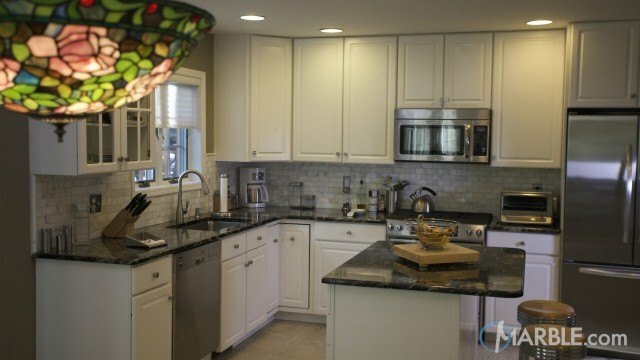 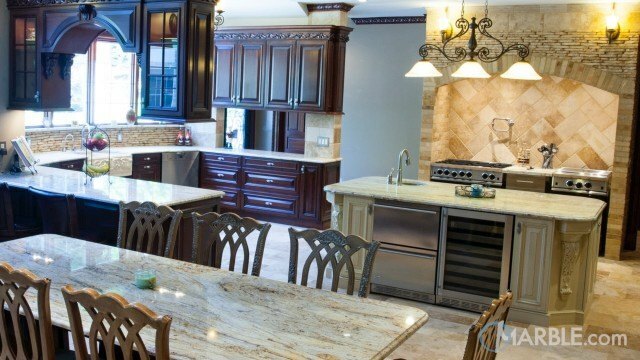 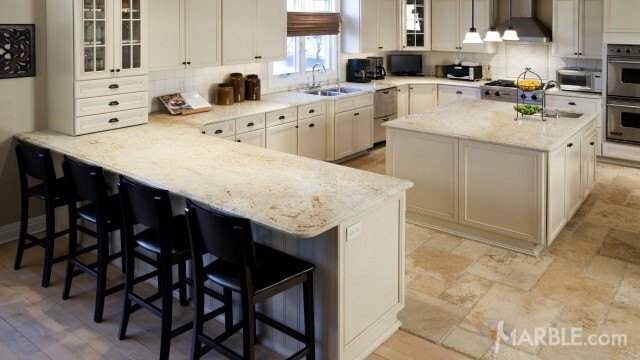 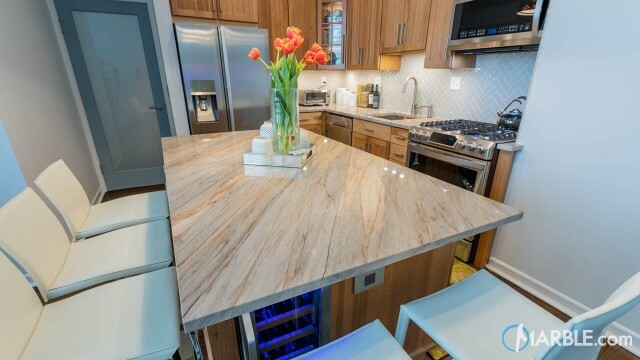 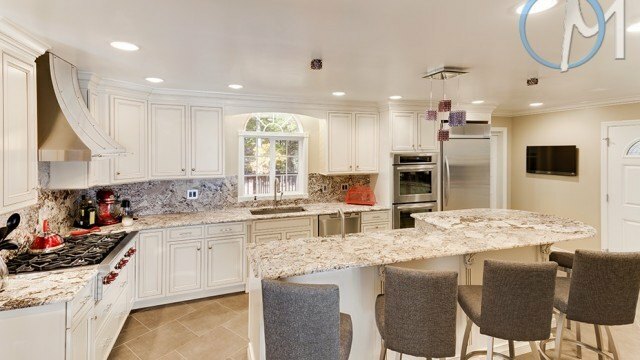 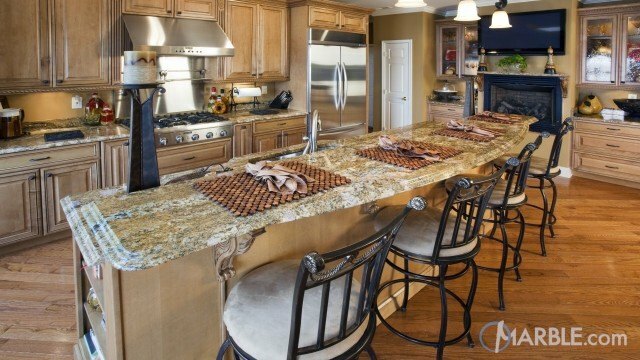 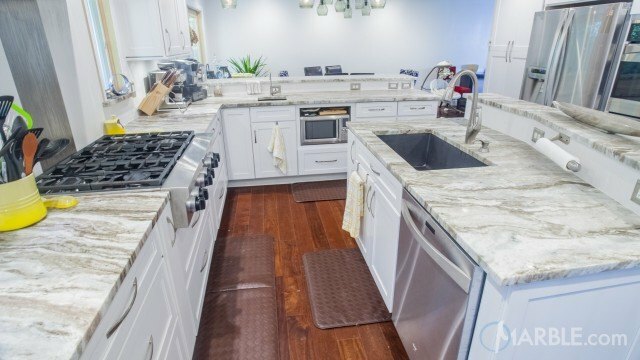 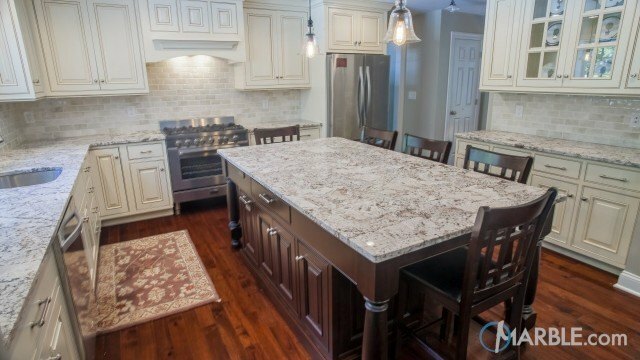 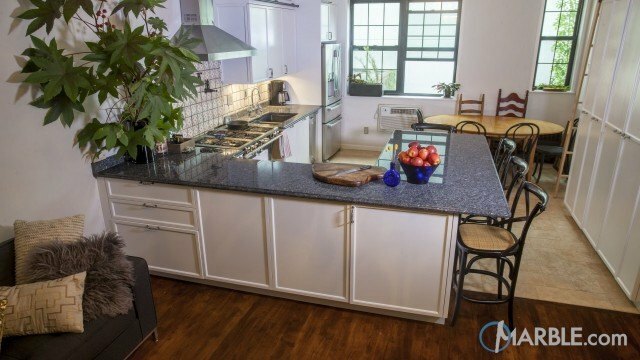 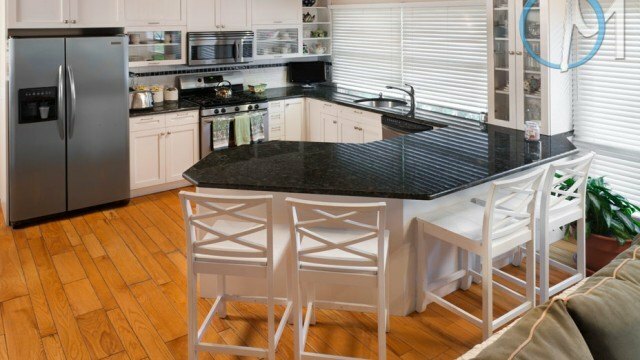 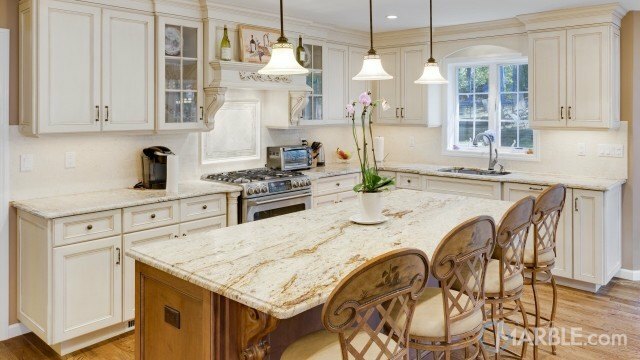 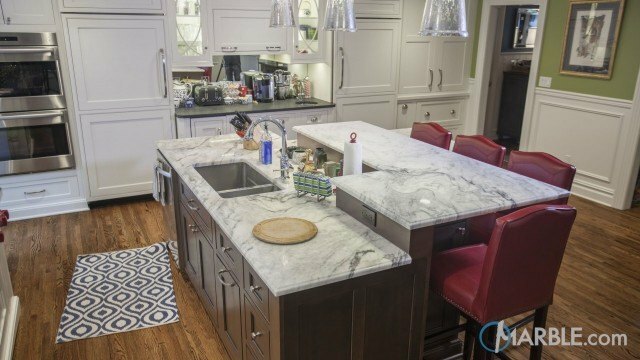 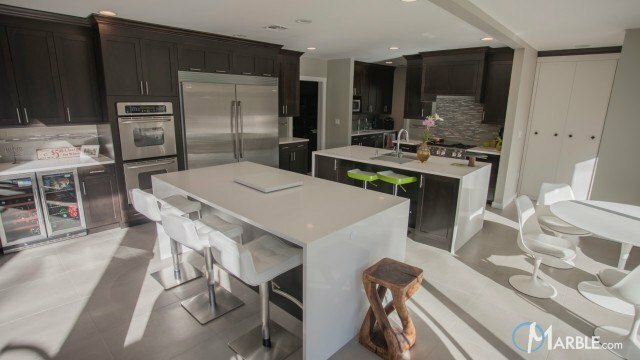 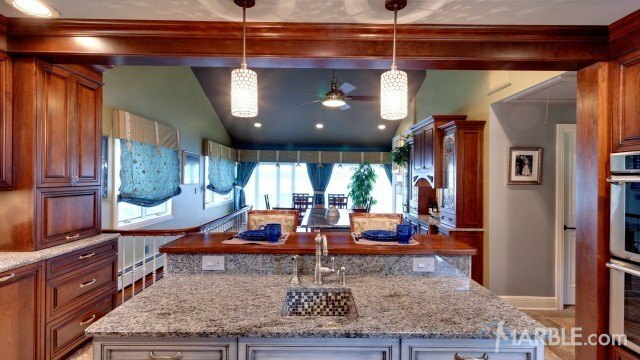 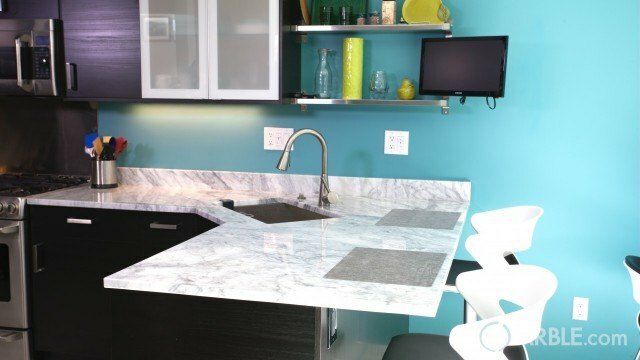 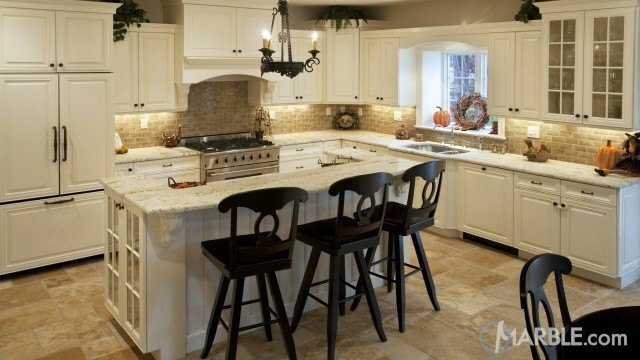 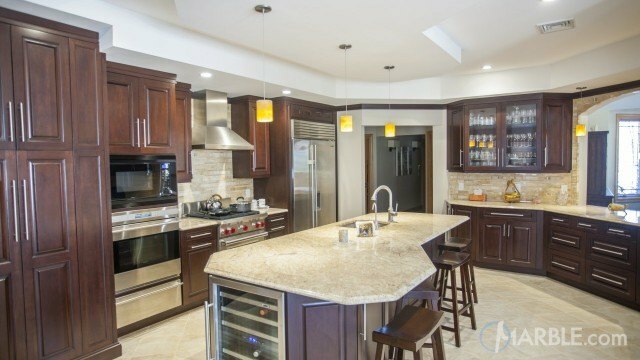 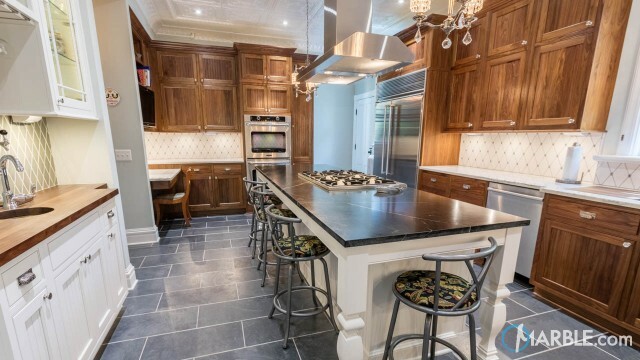 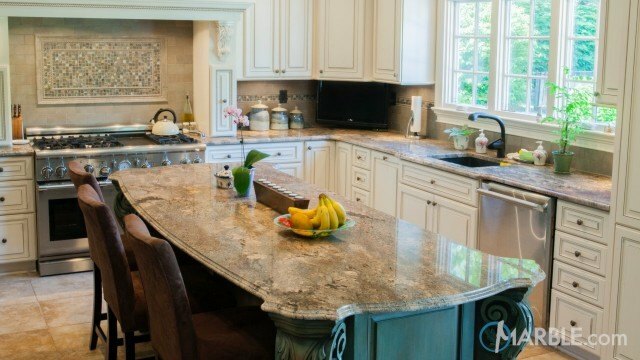 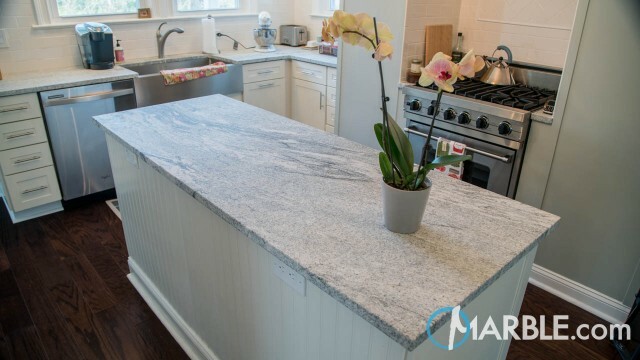 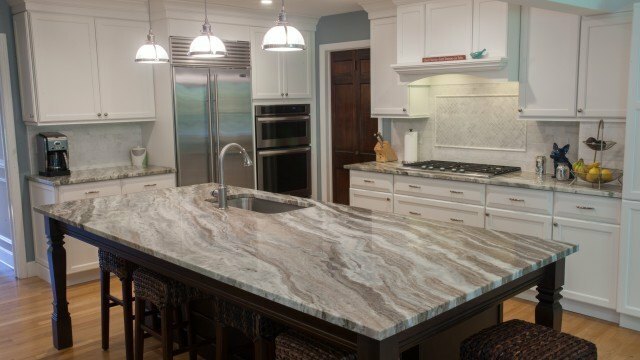 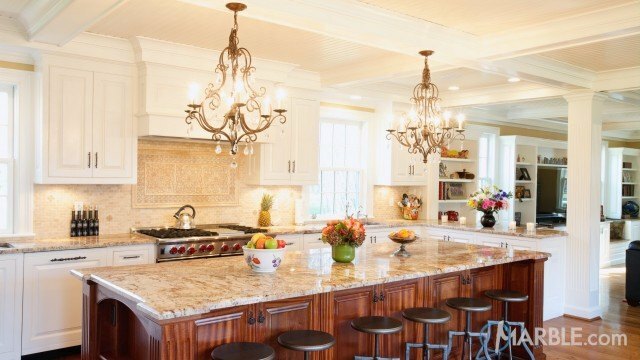 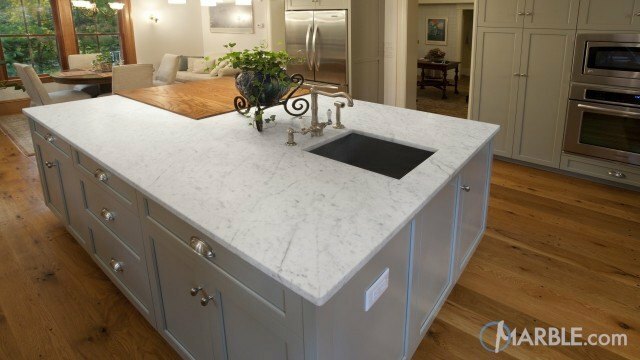 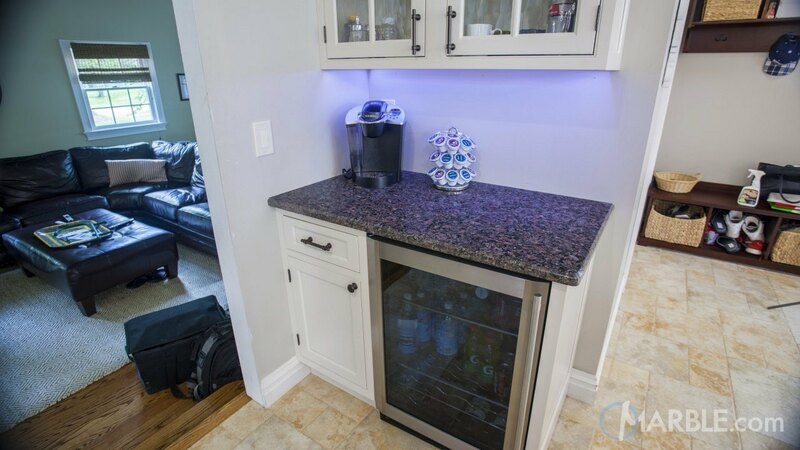 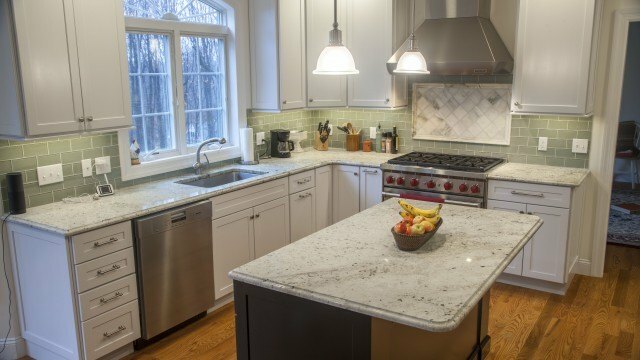 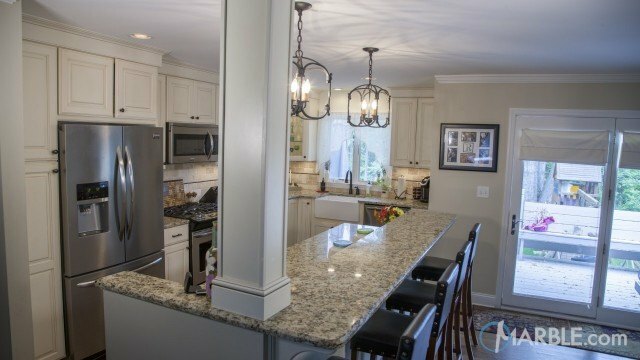 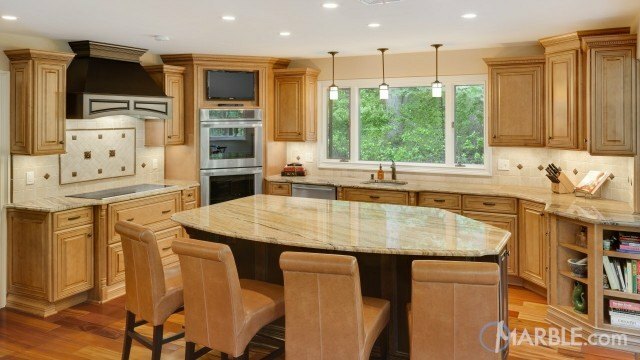 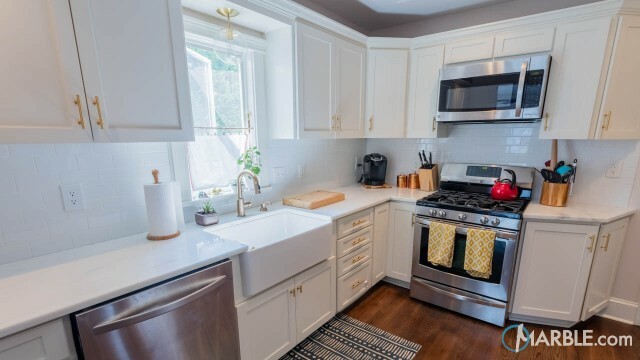 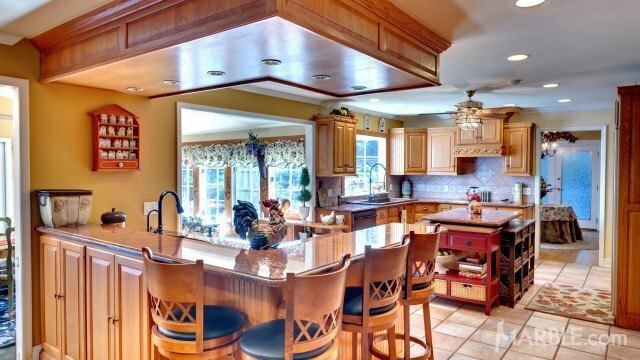 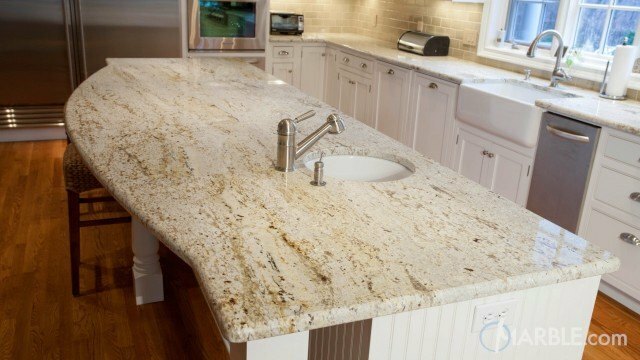 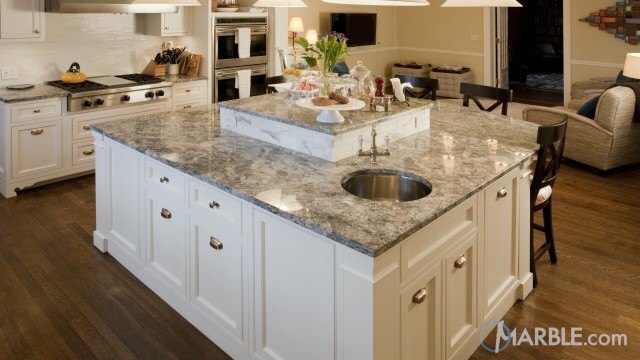 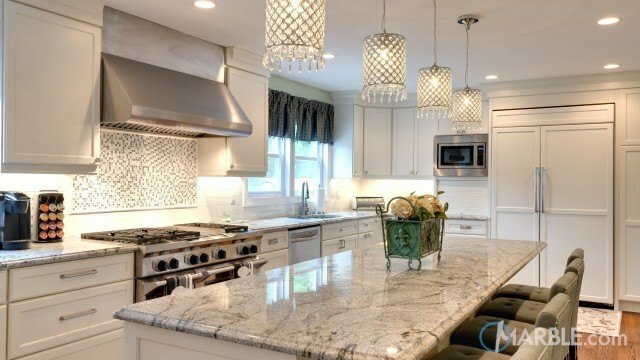 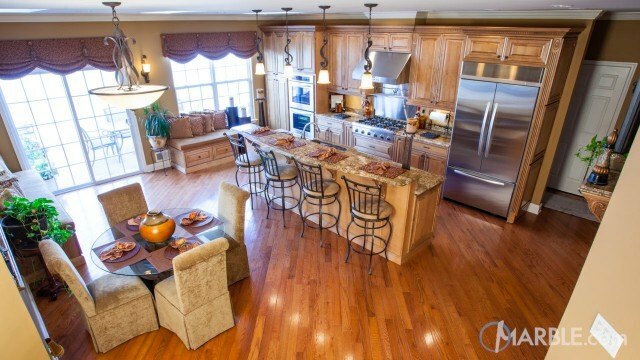 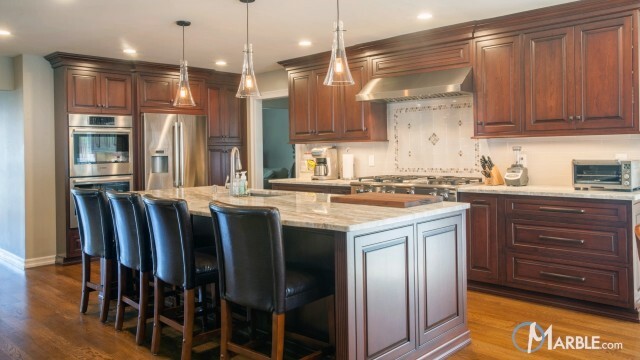 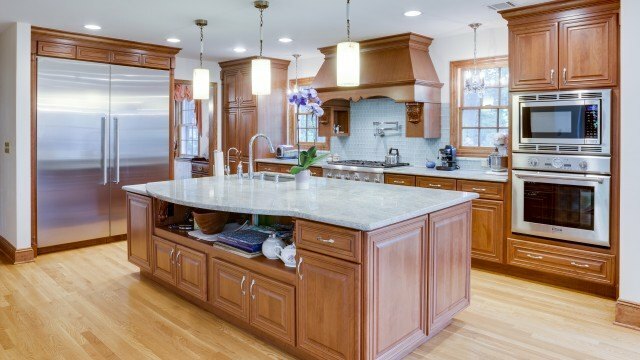 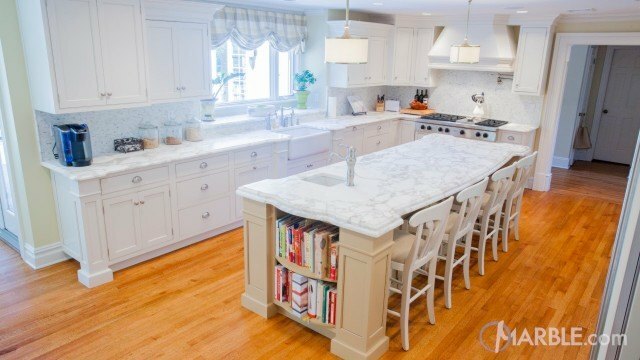 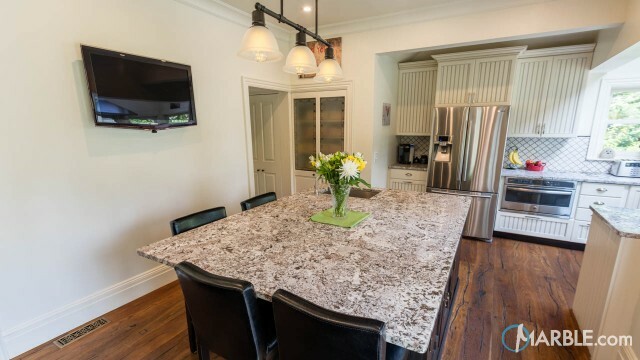 Doubling the island as a work area and eating station makes serving and clean up a breeze. 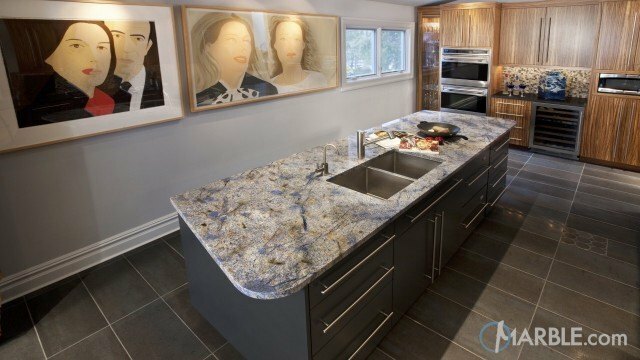 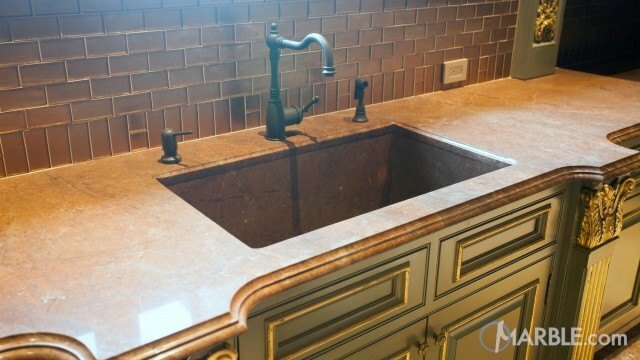 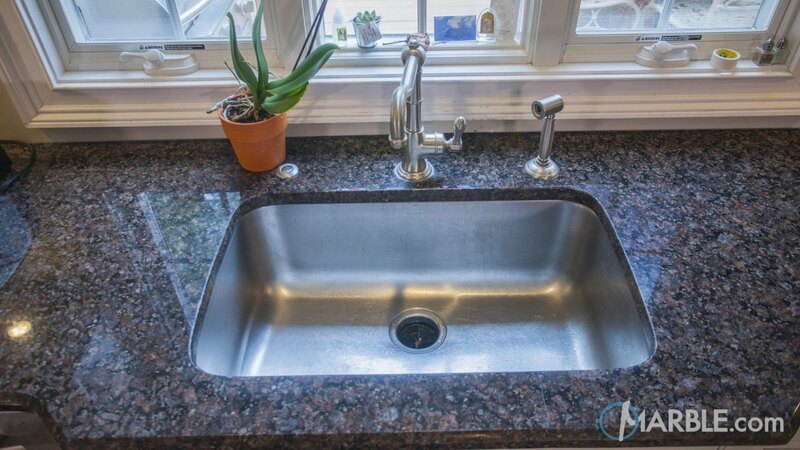 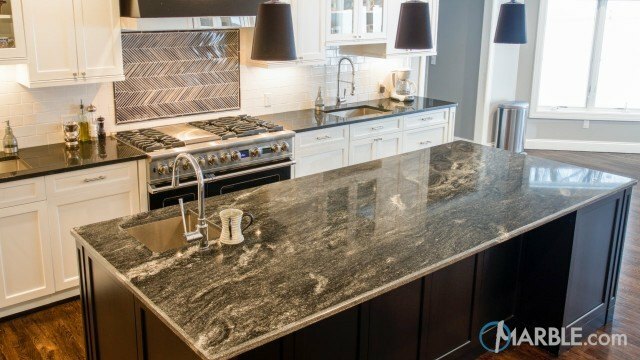 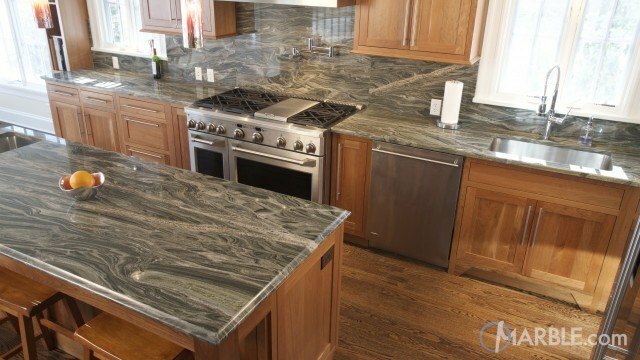 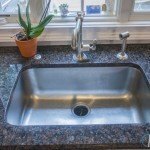 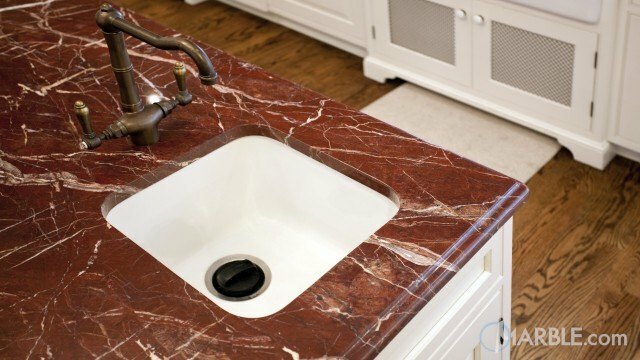 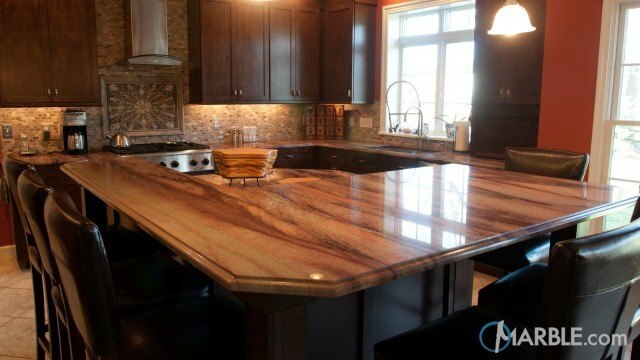 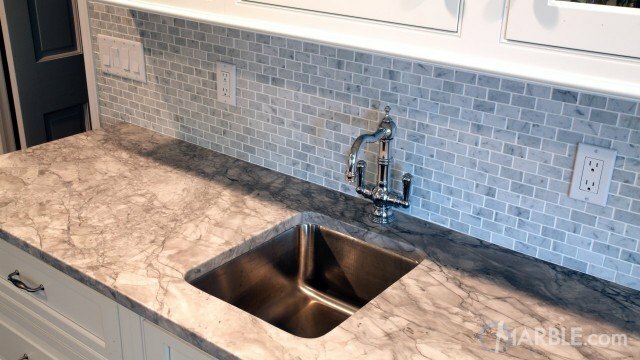 Royal Brown is a dark stone that adds just enough exotic colors to really make the countertop a work of art.